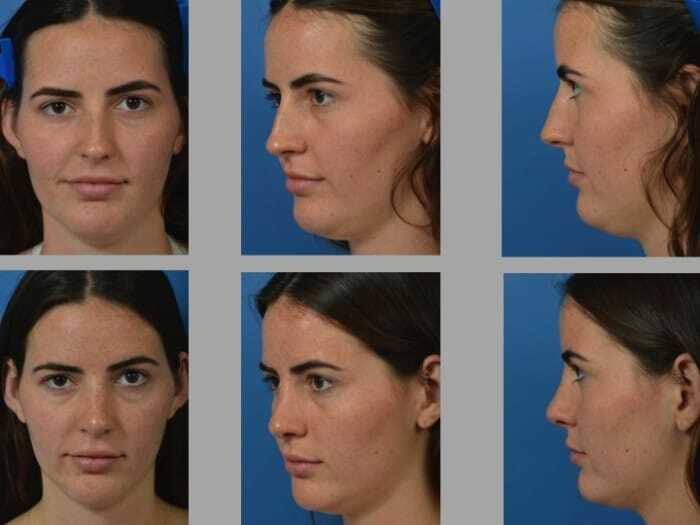 and has continued with my publications and presentations about the nasal tip, the relationship between the brows and nose, and the embryology of nasal shape and structure. 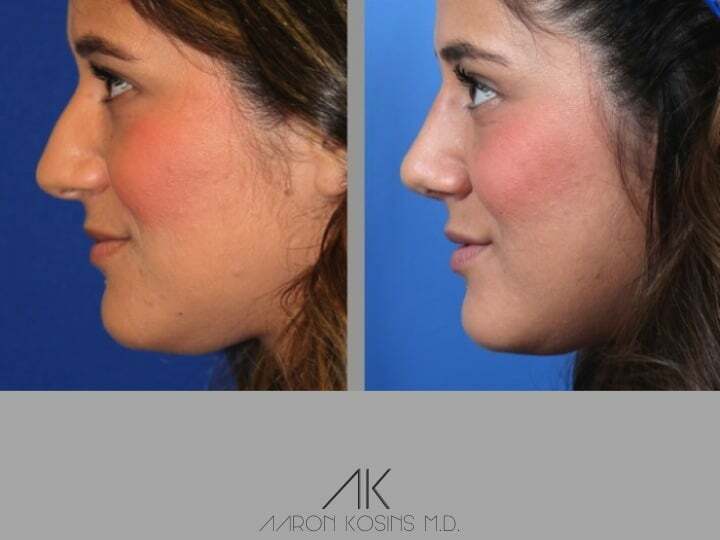 I was VERY fortunate to have been mentored by some of the most famous and talented rhinoplasty surgeons in the world. 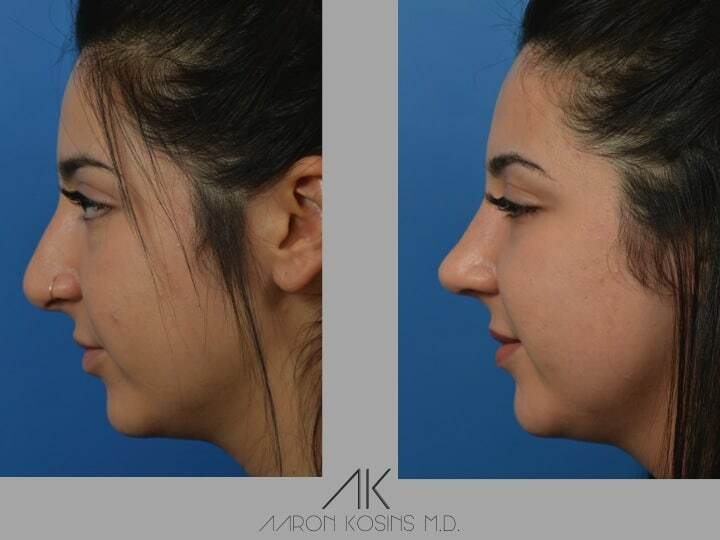 My apprenticeship included reading their books, directly assisting in over 100 cases, doing my own cases, and constant re-evaluation of my results. 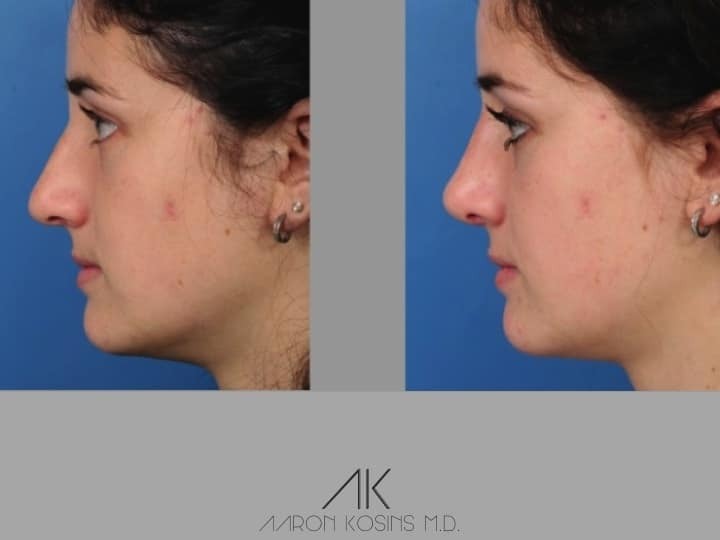 I will continue to be a student of rhinoplasty throughout my career, and strive to give back to the specialty through my ongoing research, presentations and publications. 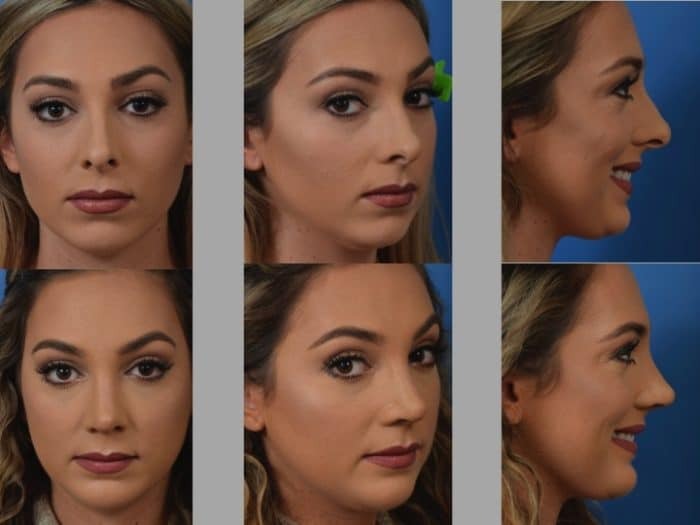 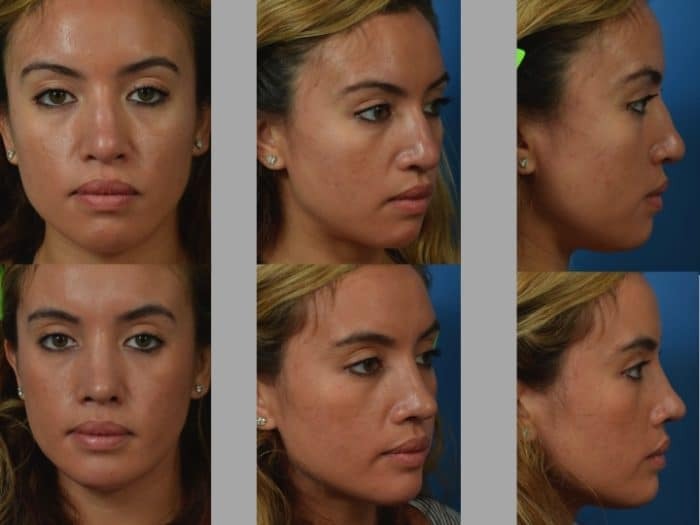 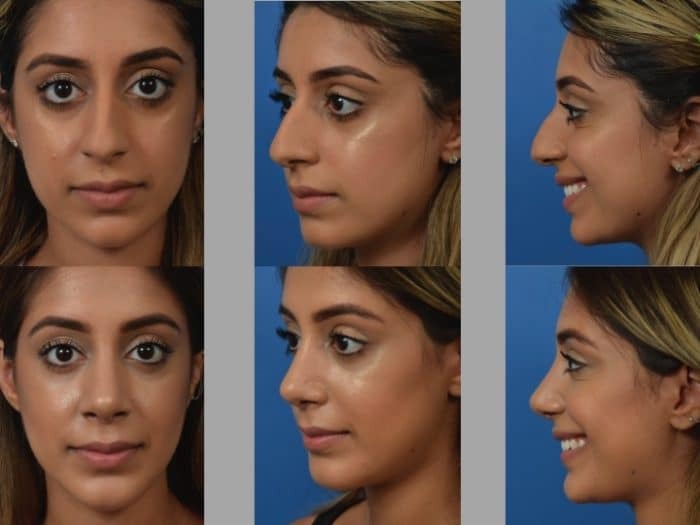 Rhinoplasty in my opinion is the most challenging operation in Plastic Surgery, and my passion has led me to study with amazing surgeons and to present my work at national rhinoplasty meetings and in the Aesthetic Surgery Journal, which is the most widely respected aesthetic journal in the world. 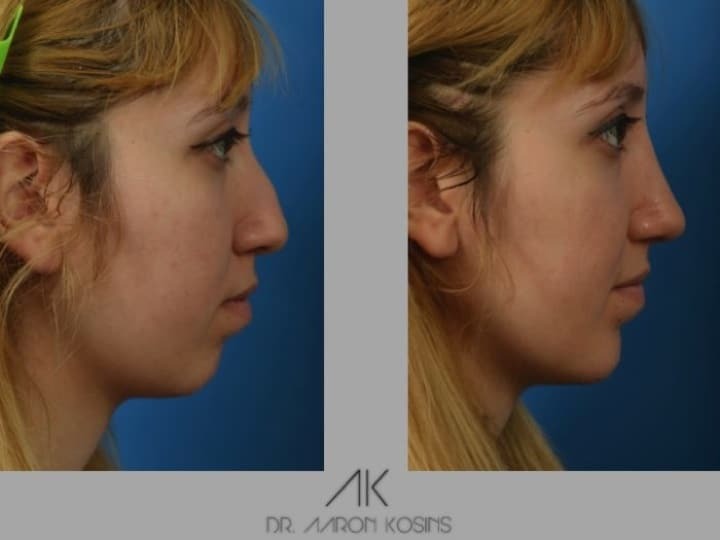 I could dedicate a whole website to rhinoplasty including anatomy, indications, and all of the different techniques and issues that arise. 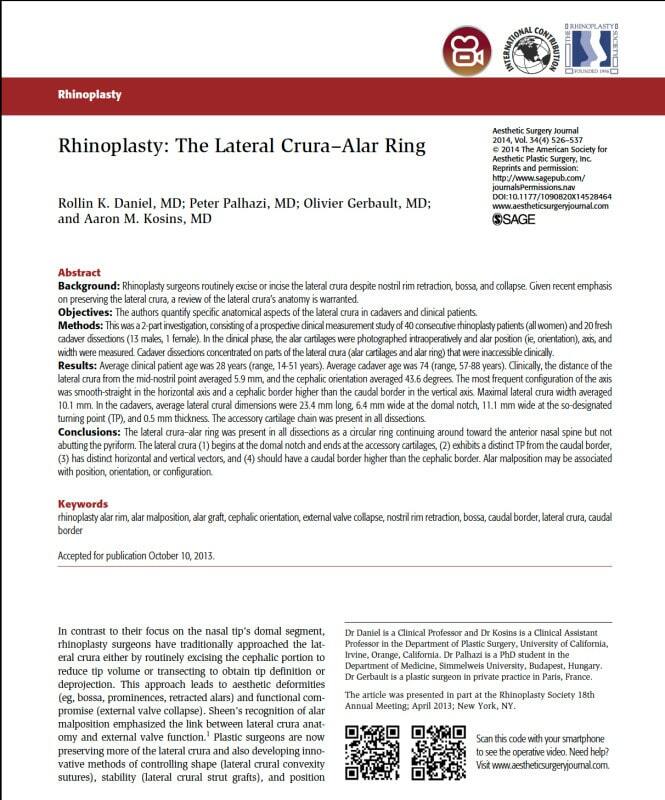 A true understanding of this operation and its implications years after the surgery requires ongoing study and being a part of the ongoing knowledge that is generated in this exciting field. 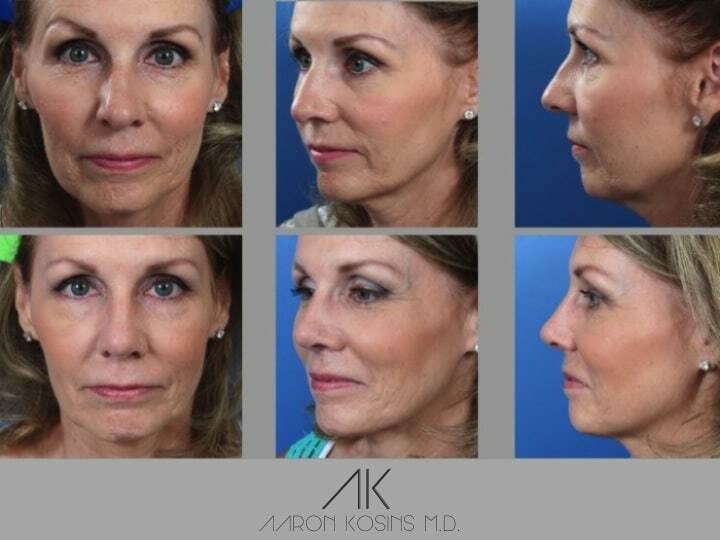 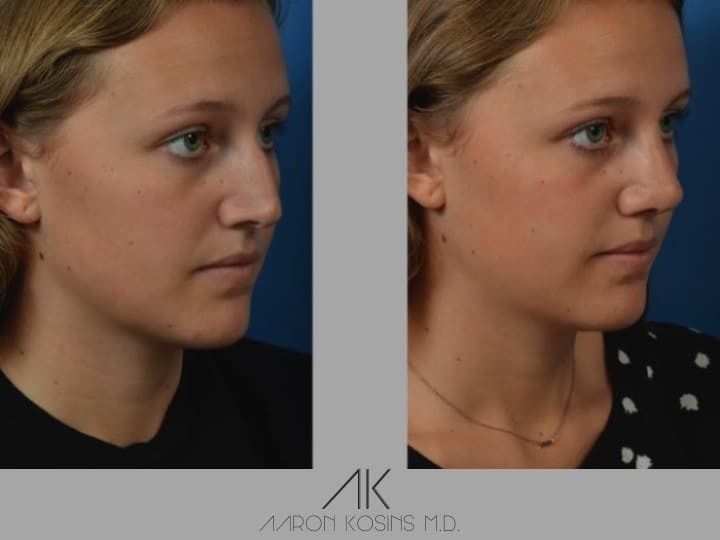 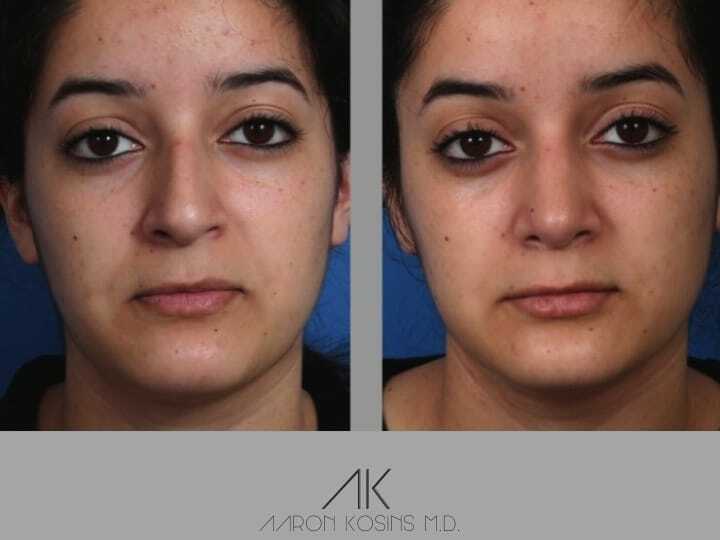 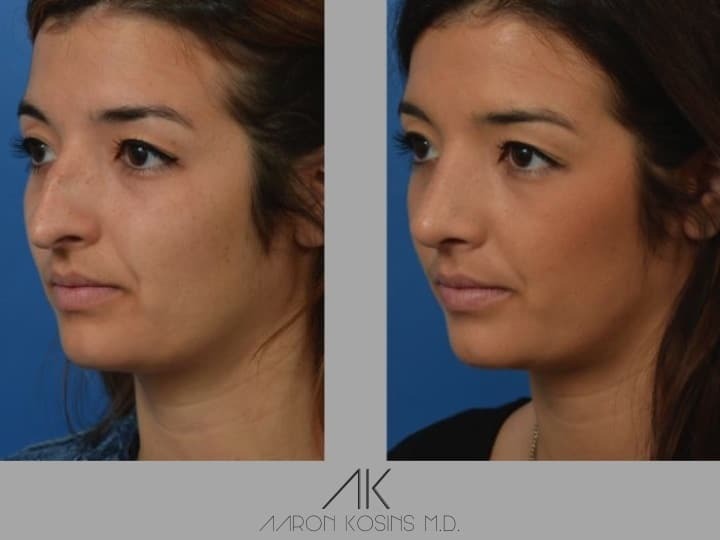 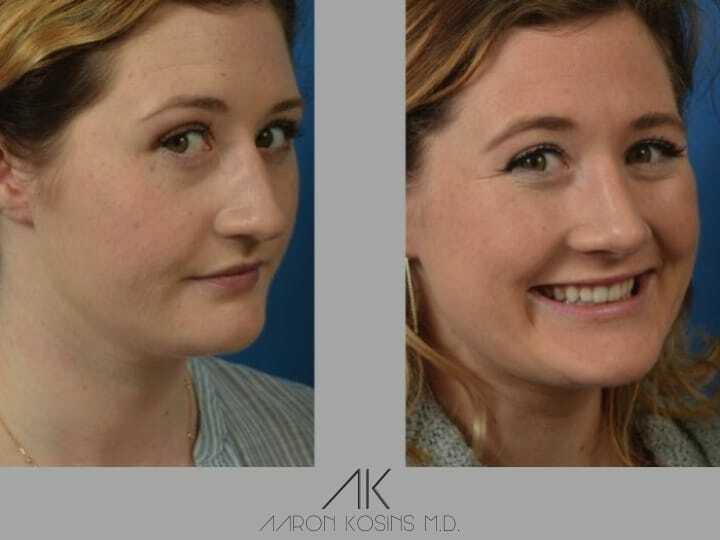 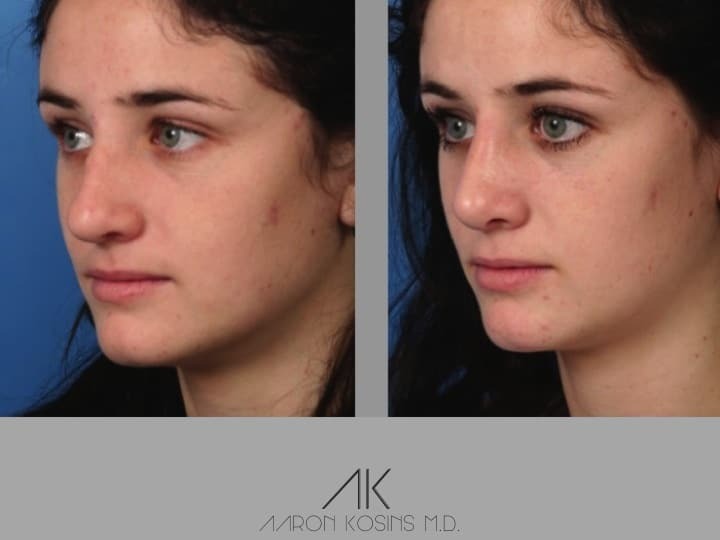 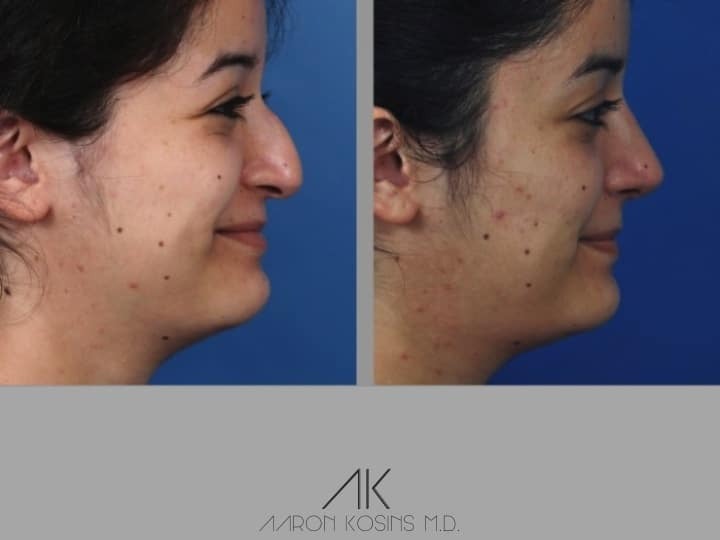 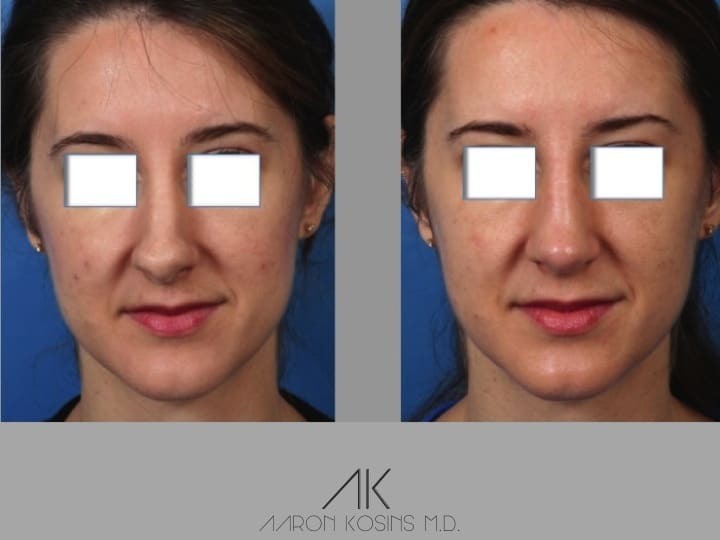 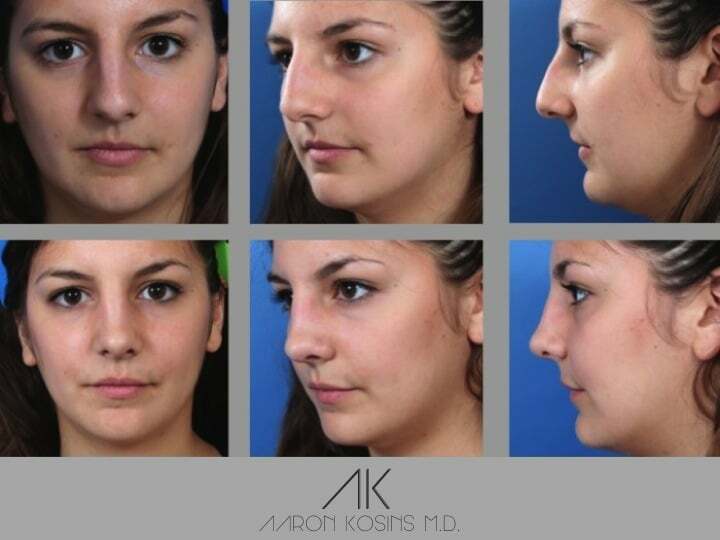 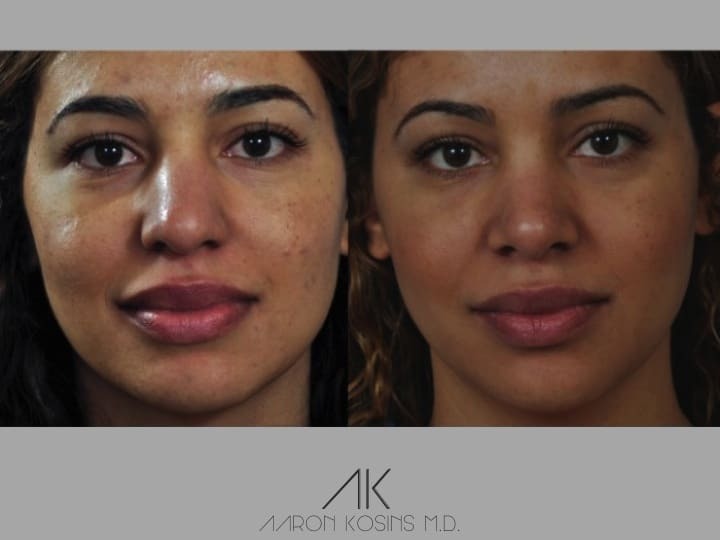 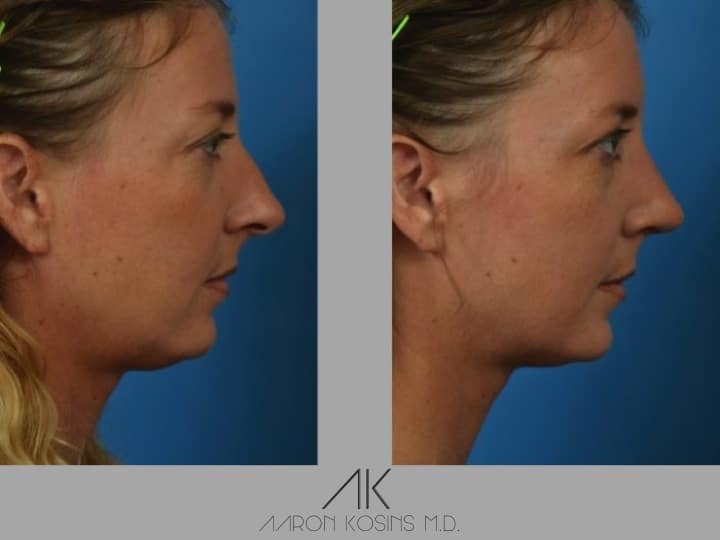 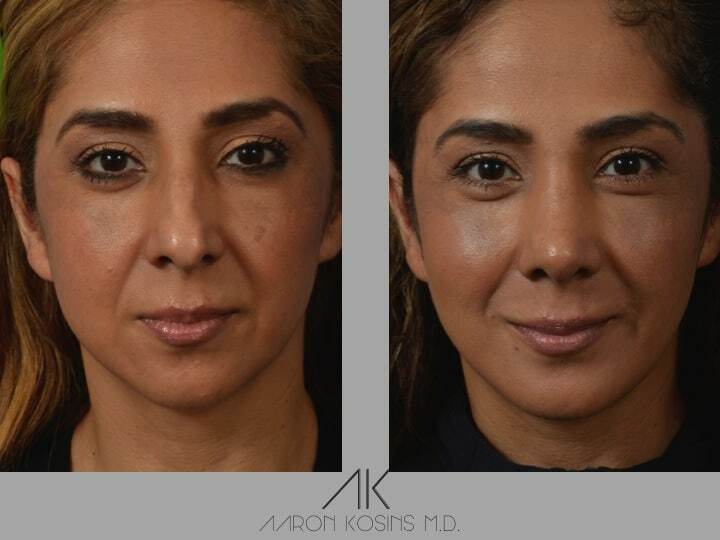 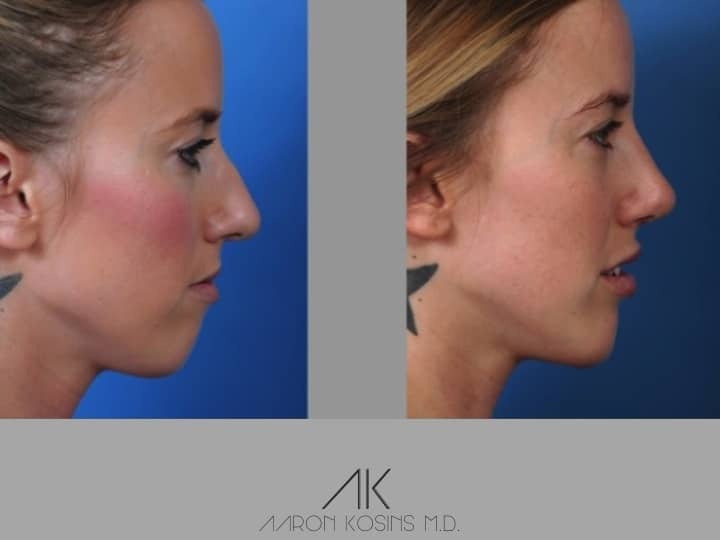 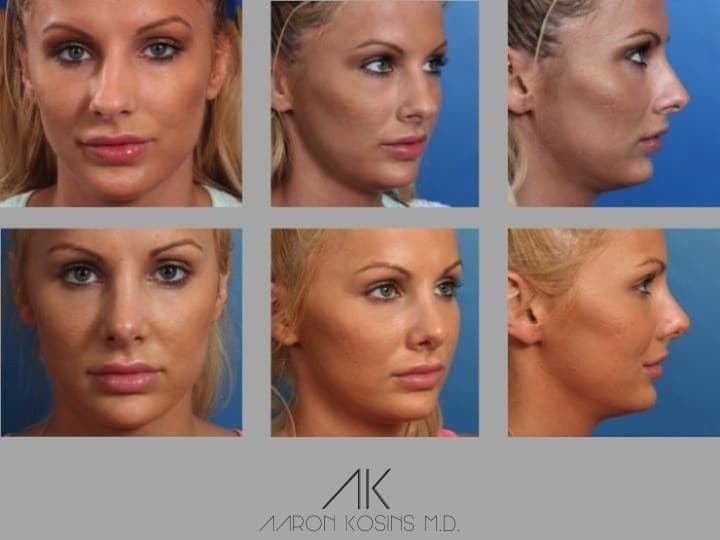 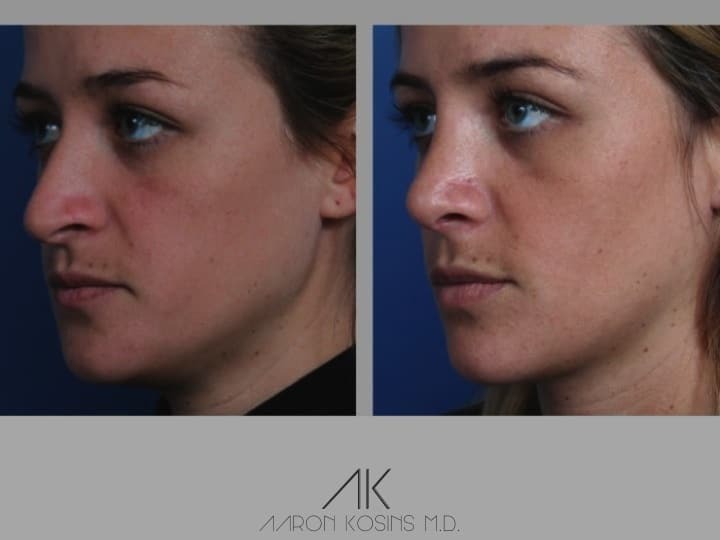 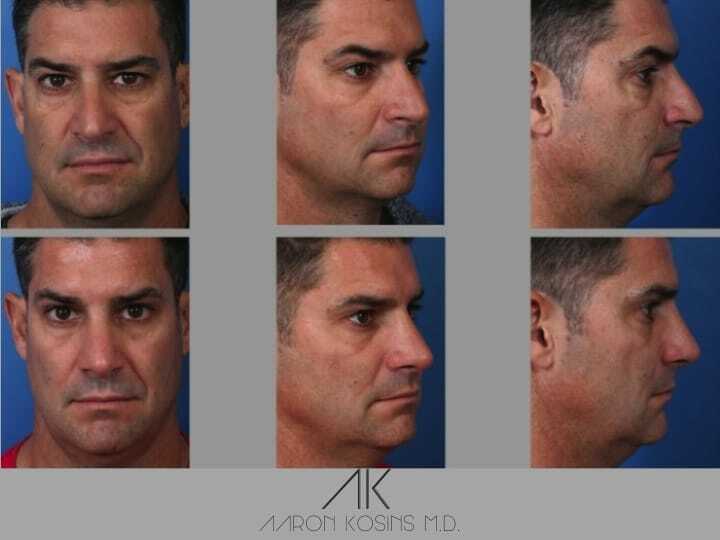 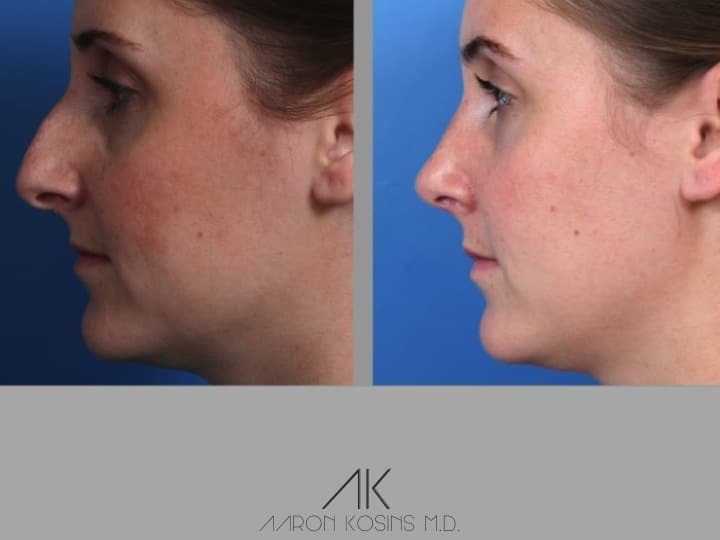 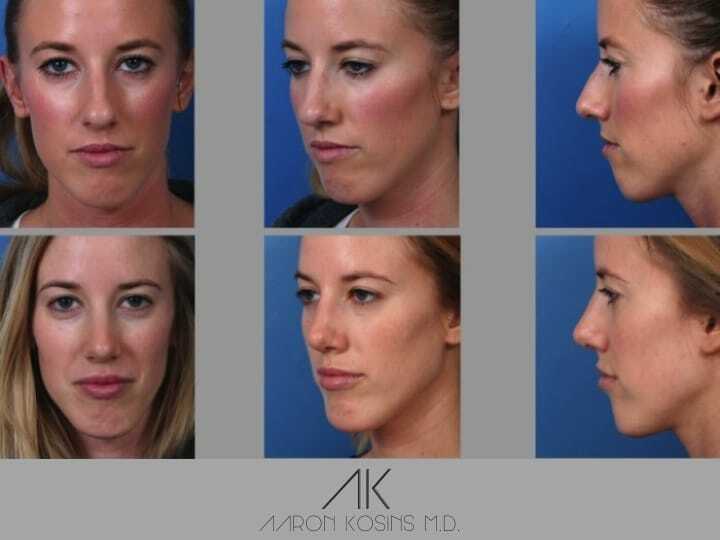 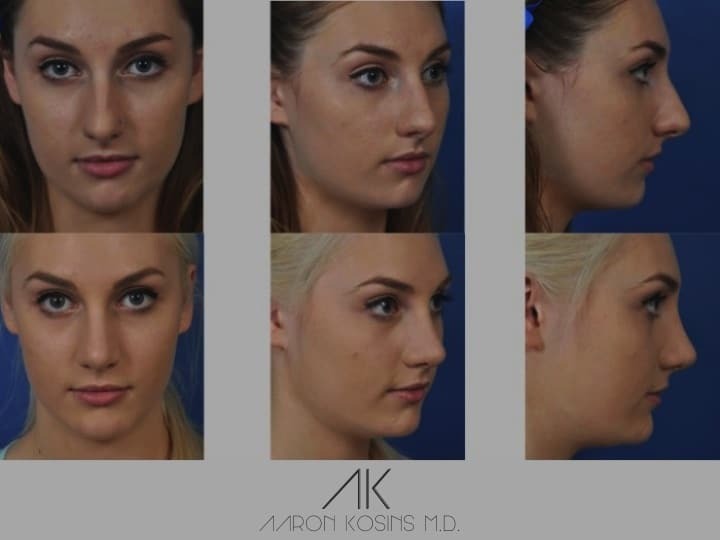 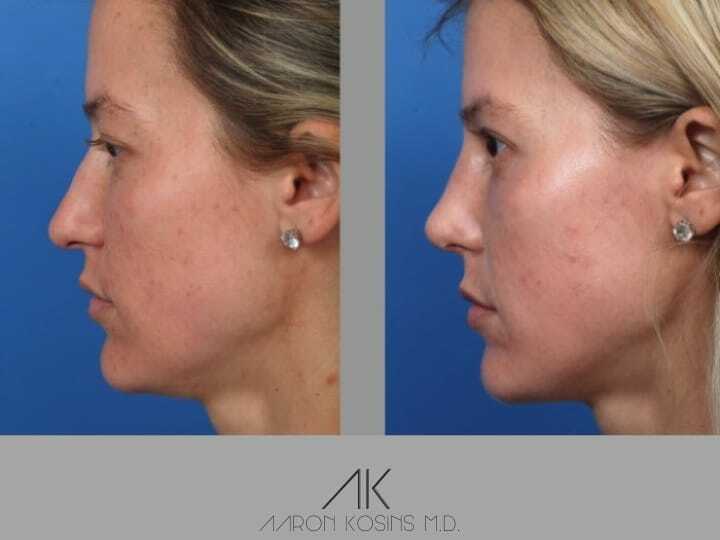 As an experienced Newport Beach Rhinoplasty Surgeon, Aaron Kosins, MD knows that every nose is unique. 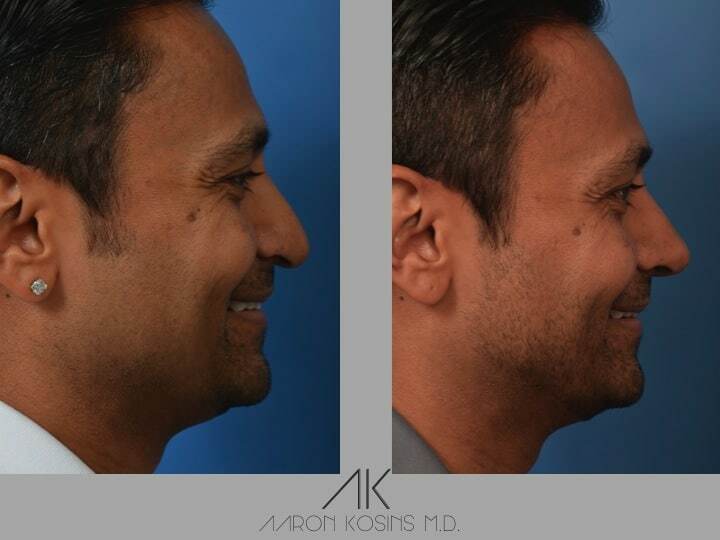 His rhinoplasty operations alleviate patient concerns about their nose using cosmetic surgery to achieve the desired appearance. 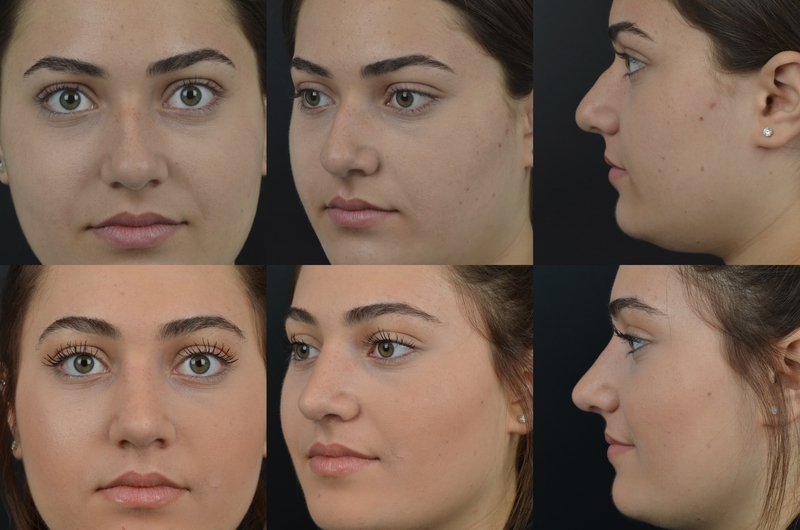 His practice provides service for rhinoplasty not only in Newport Beach, CA, but also for patients from around the country. 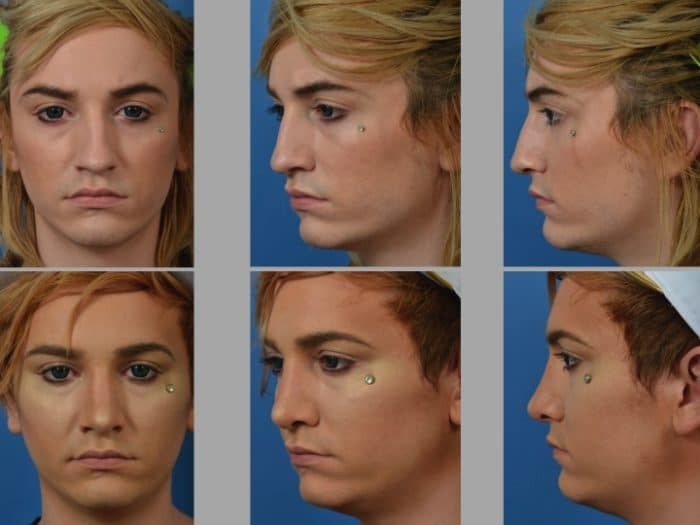 I have divided the operations into primary and secondary/revision rhinoplasty. 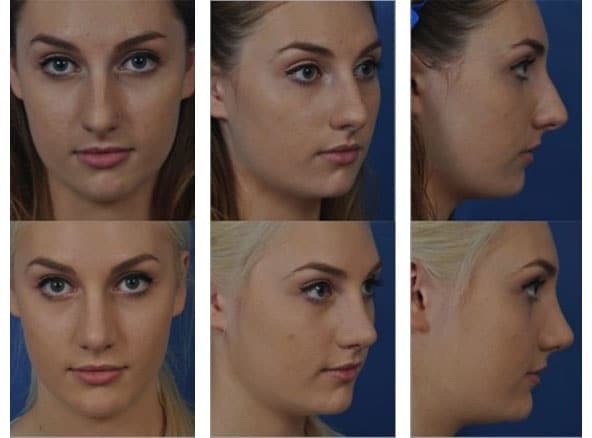 In breast augmentation, follow up operations are expected because implants should be replaced about every 10 years. 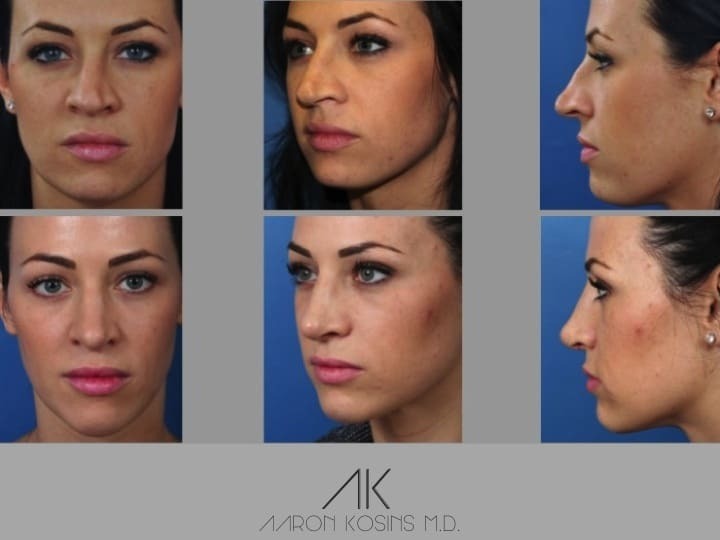 However, in rhinoplasty, experienced surgeons often deal with the second, third, fourth, and even more operations. 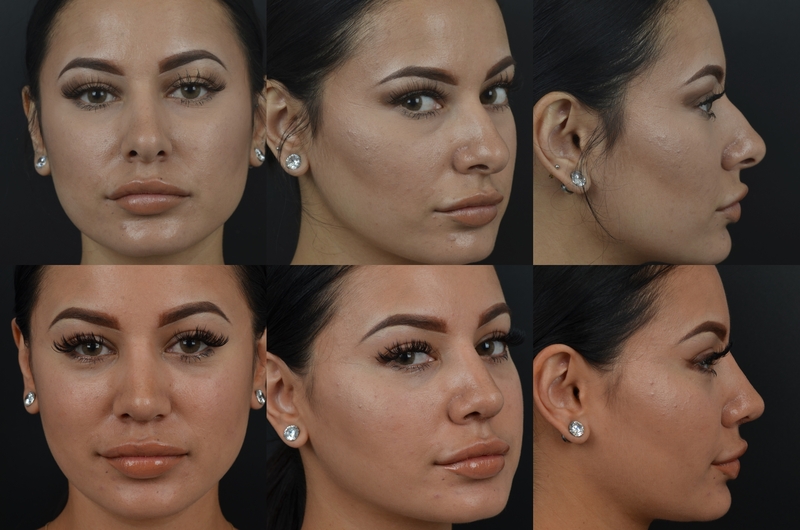 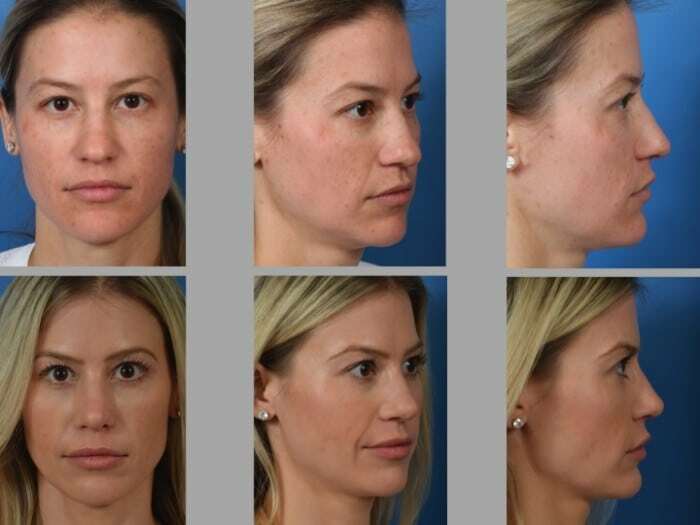 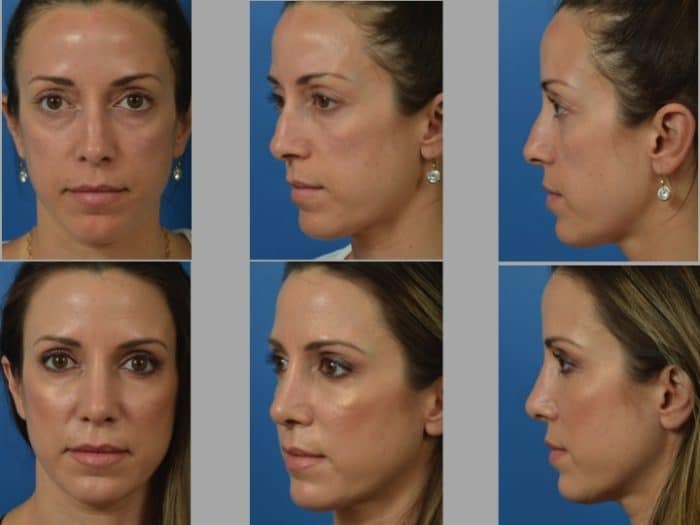 This is because this is such a difficult procedure and has changed more drastically in the past 20 years than any other aspect of Aesthetic Surgery of the face. 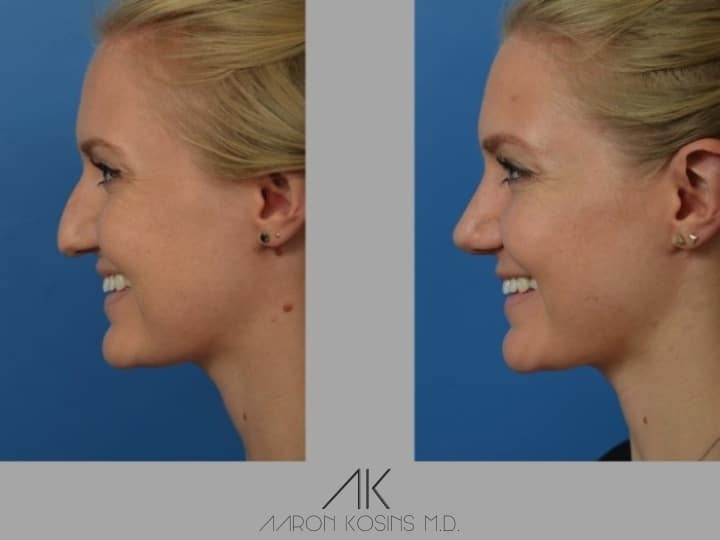 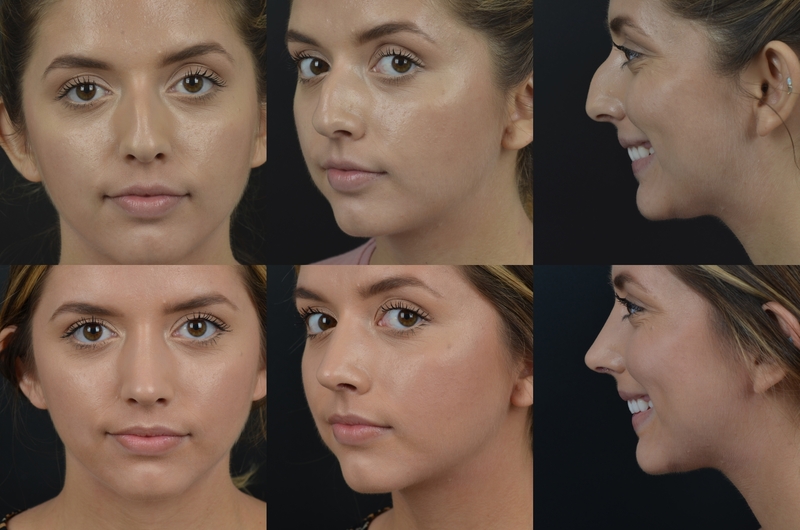 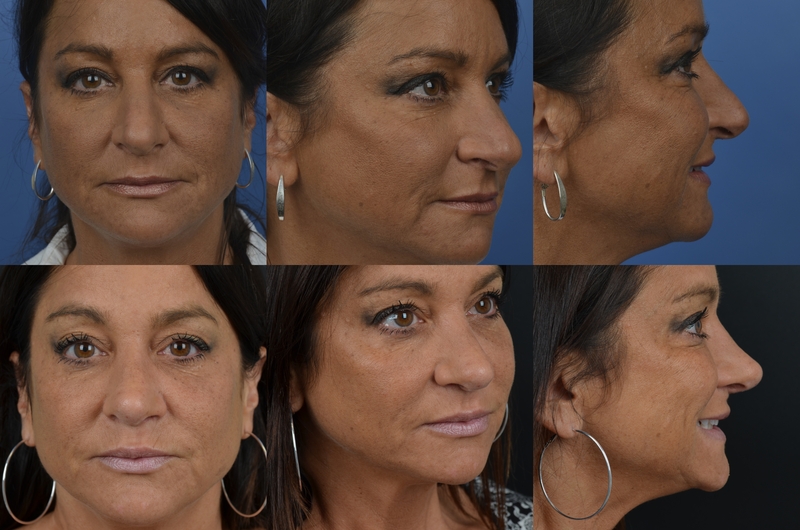 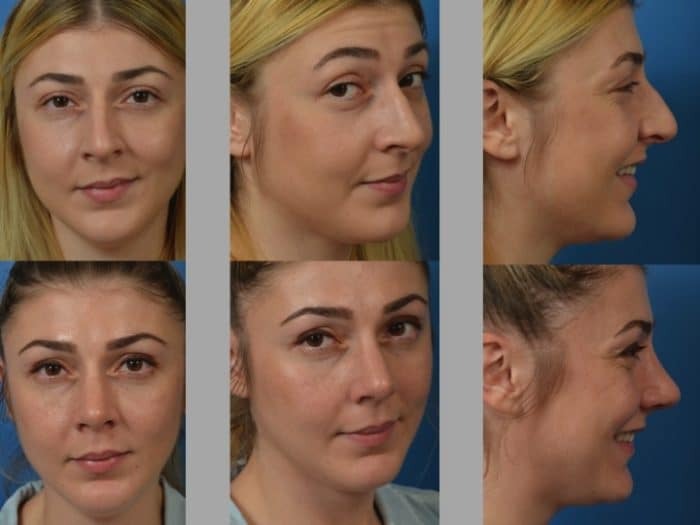 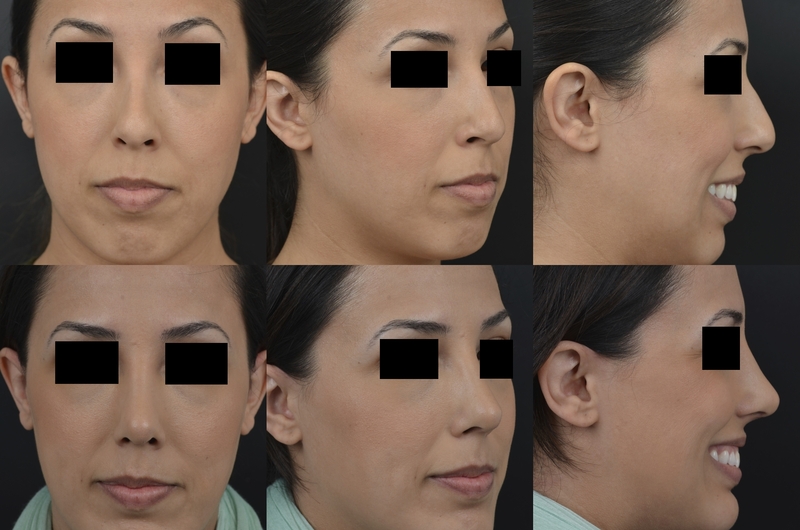 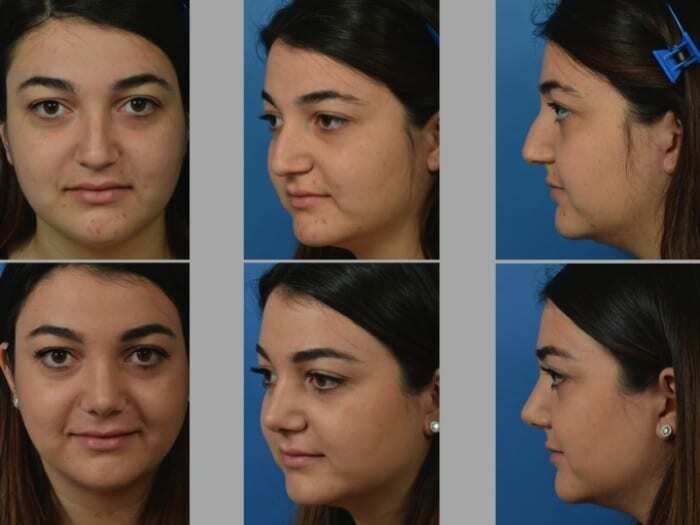 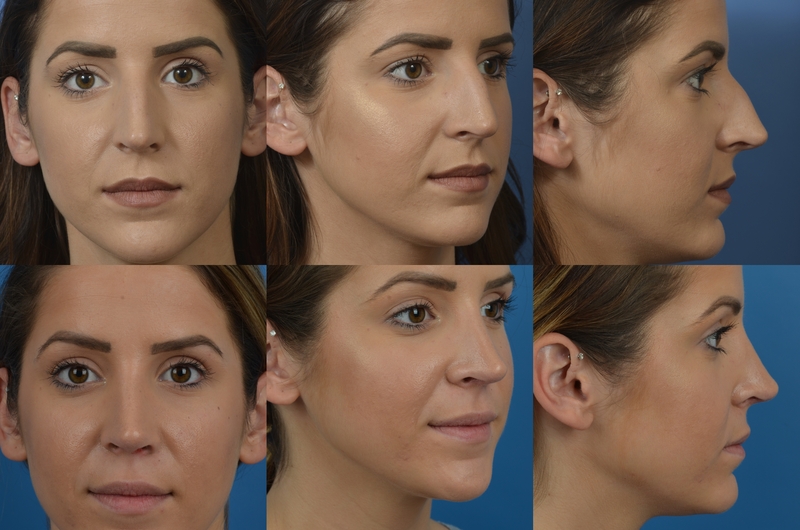 I perform both endonasal (closed) as well as open Rhinoplasty in Newport Beach depending on the patient, including their underlying anatomy and wishes. 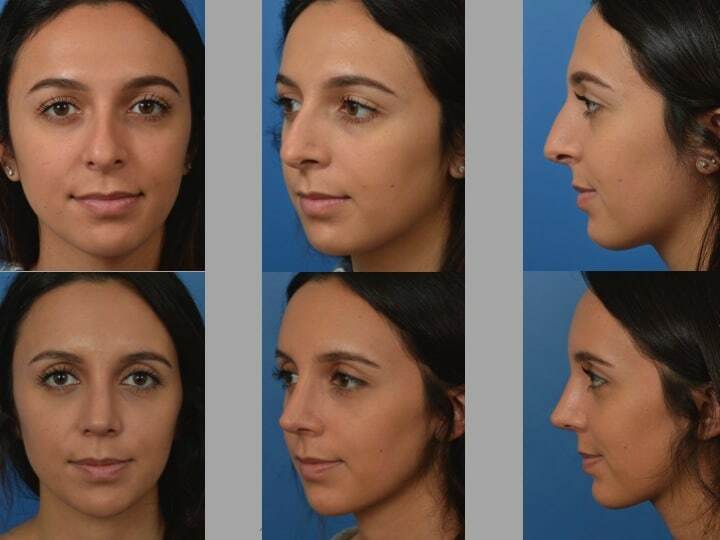 After an initial history and physical examination (both internal and external), I will take pictures of your nose in 8 to 10 standard views so that we can sit down and begin the discussion of what can be done. 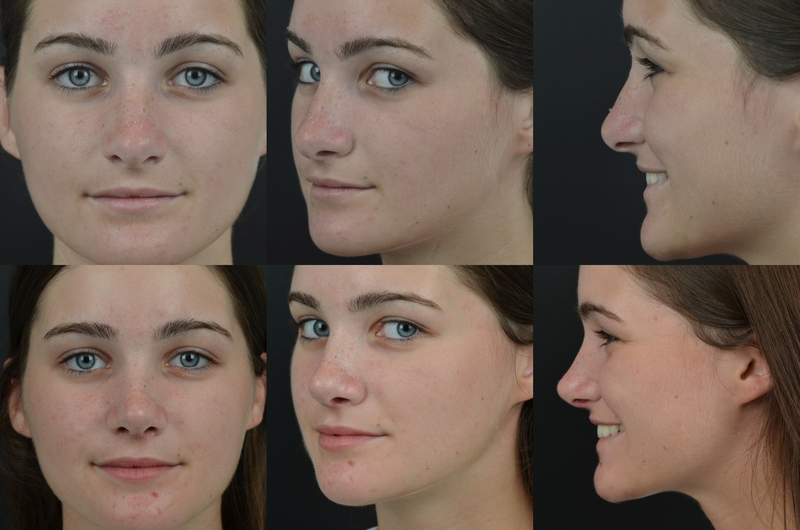 Taking pictures and being able to go over them with you is paramount to a successful result. 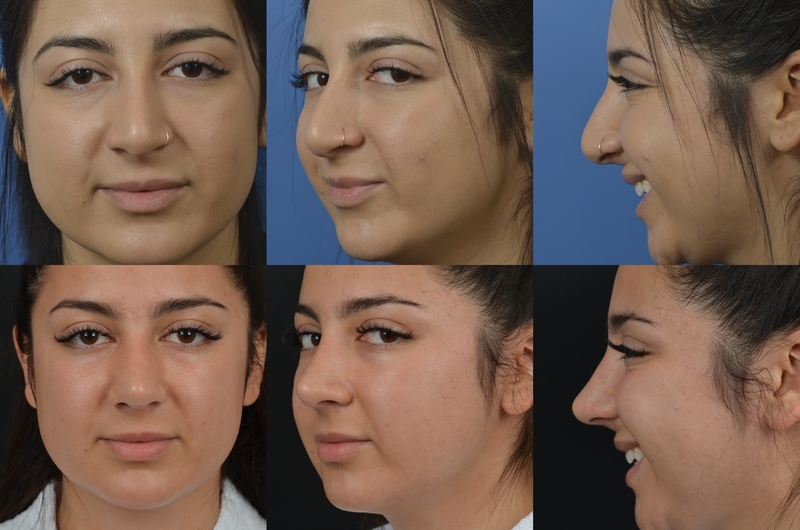 We need to make sure that your goals are realistic, and that you understand what your nose will look like after an operation. 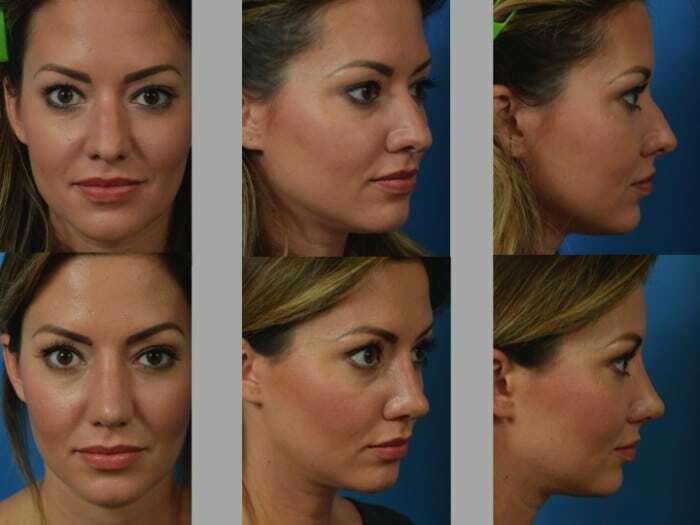 At our pre-operative visit (final visit before the operation day), we will again go over your pictures and goals. 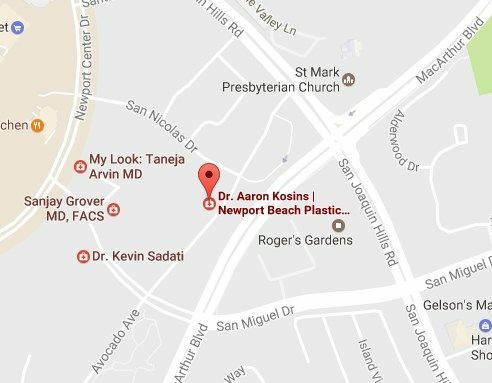 By this point, I have formed a detailed plan for your operation, which will be confirmed. 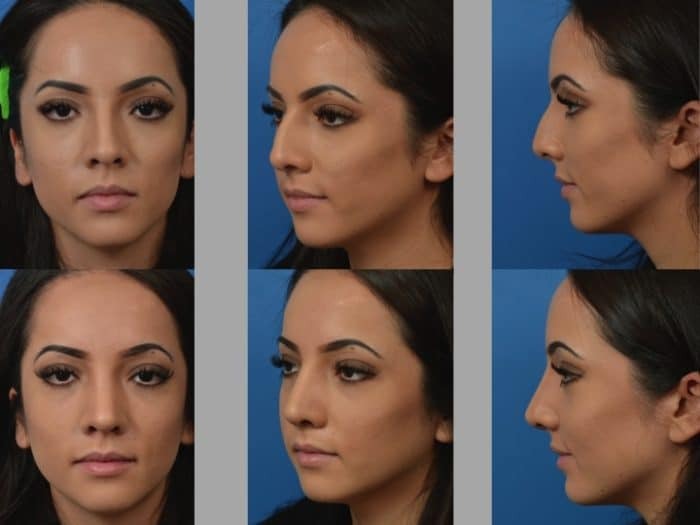 Truly understanding the rhinoplasty operation involves understanding the dynamic changes that occur during the operation, and also how the function of the nose is affected. 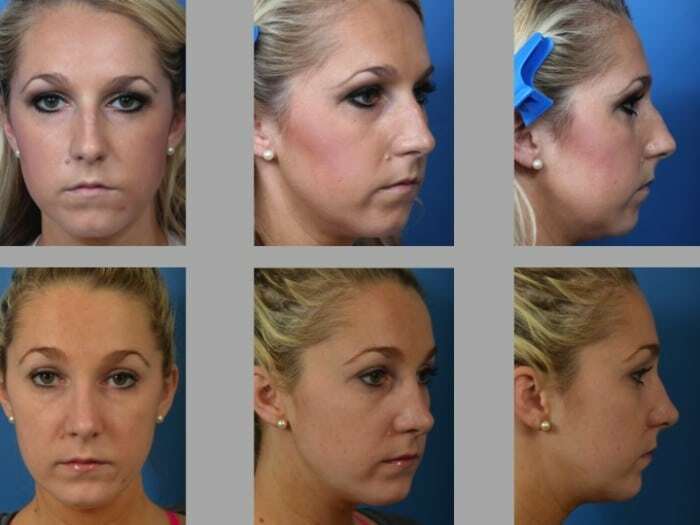 If you have difficulty breathing after your operation, then it was not successful. 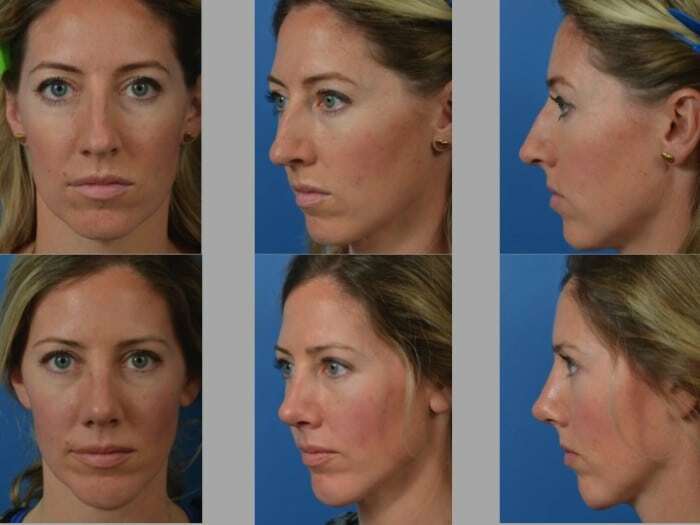 Part of doing each surgery is reconstructing the foundation of the nose. 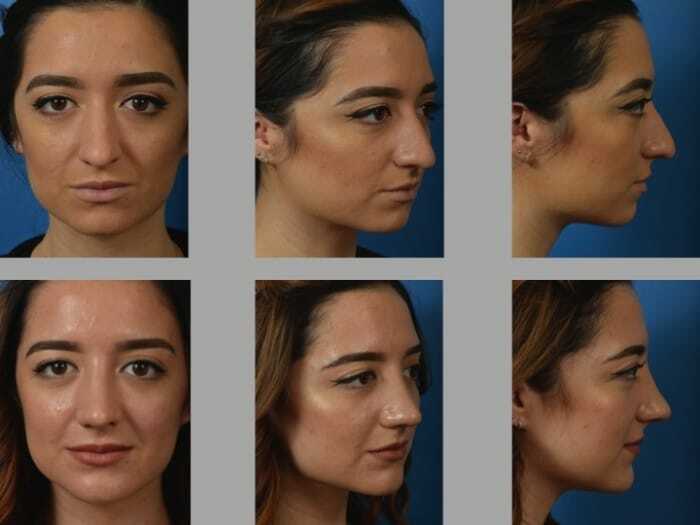 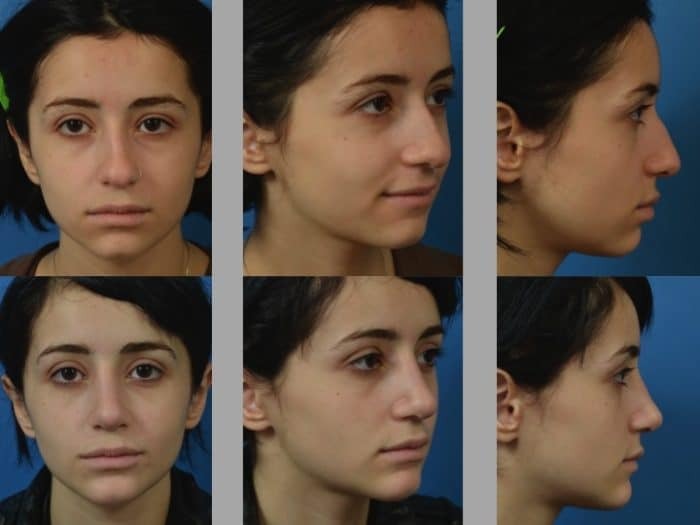 In the past, rhinoplasty surgeons used destructive techniques to make the nose smaller and more “refined.” Oftentimes, patients would have collapse of their airways and portions of their nose sometimes years after the operation. 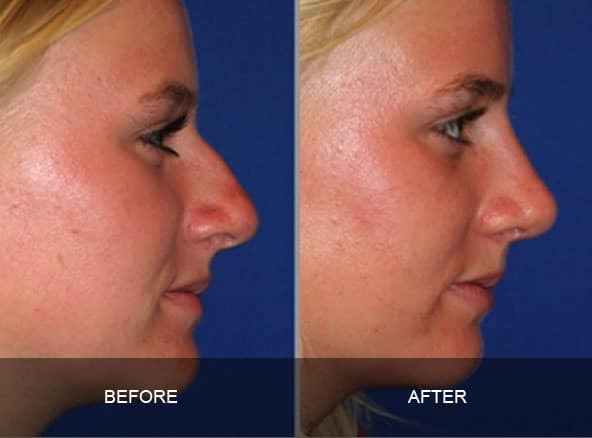 To avoid this, I will reconstruct the foundation of your nose during the rhinoplasty. 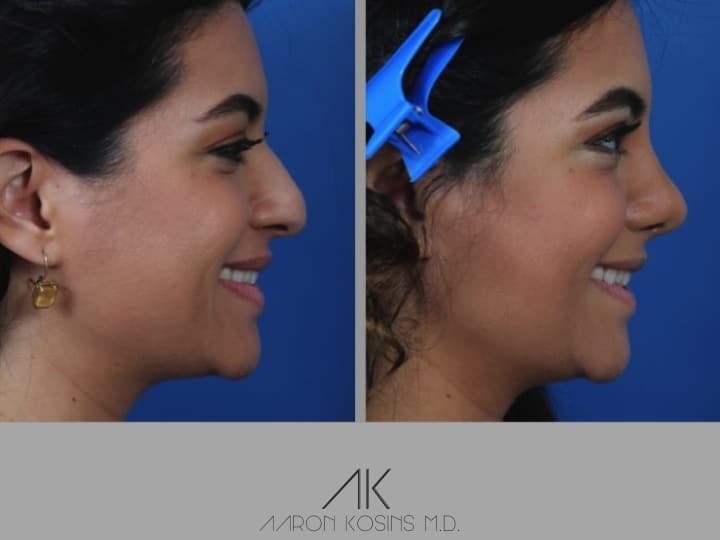 Even though your nose may appear more refined, the functional areas of your nose are always strengthened as part of my operation. 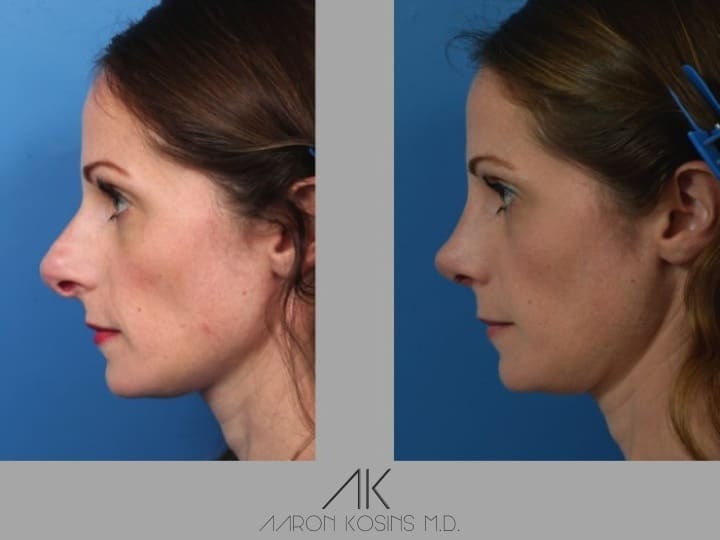 I spent a good portion of the beginning of my career doing rhinoplasties for patients with previous facial trauma (broken noses) and breathing issues because of previous rhinoplasties. 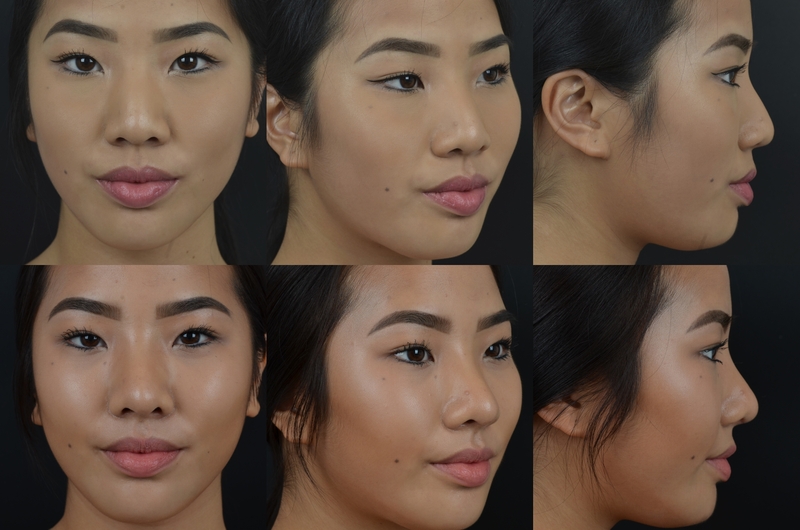 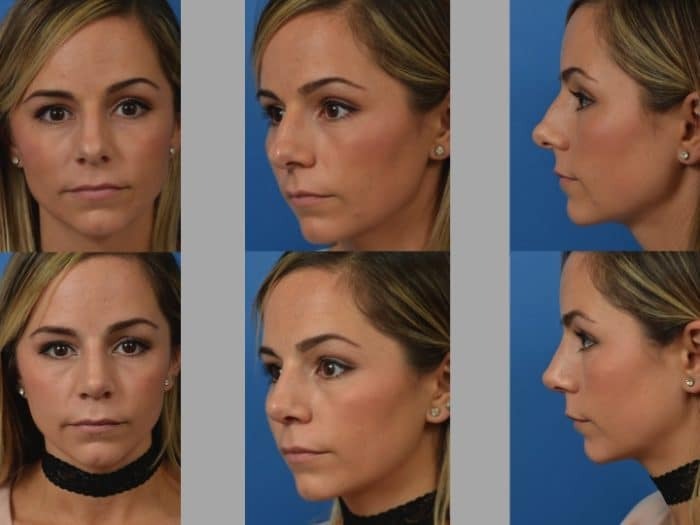 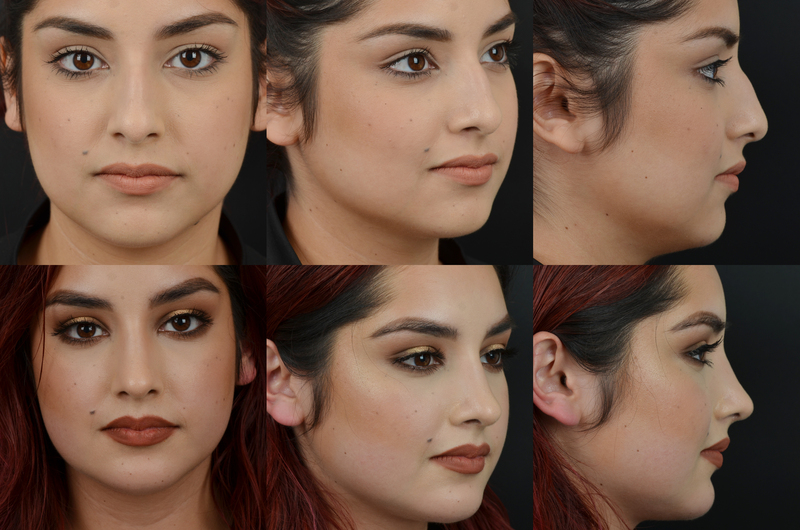 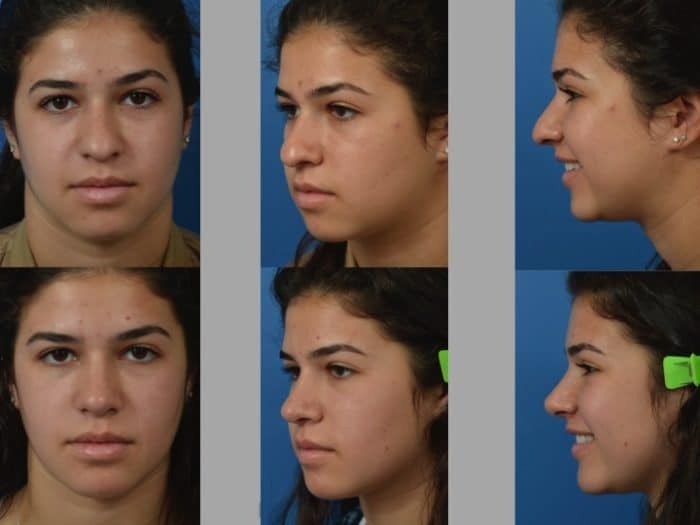 In learning to fix these difficult problems, I apply many functional techniques for my primary Newport Beach rhinoplasty patients to prevent issues in the future. 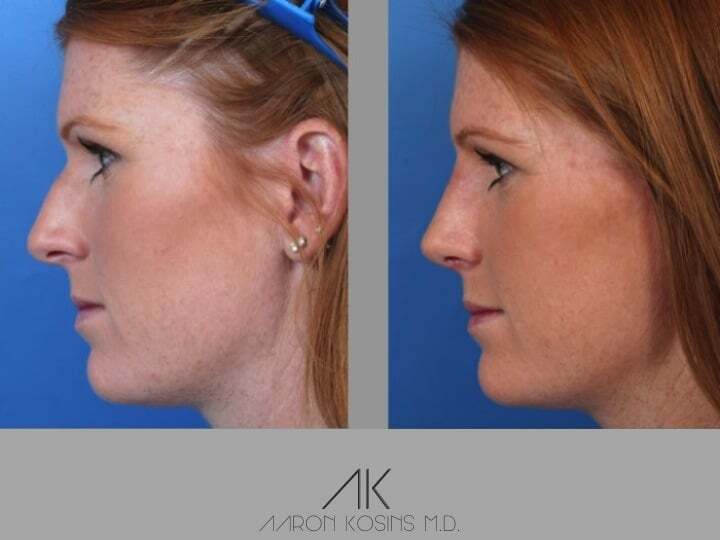 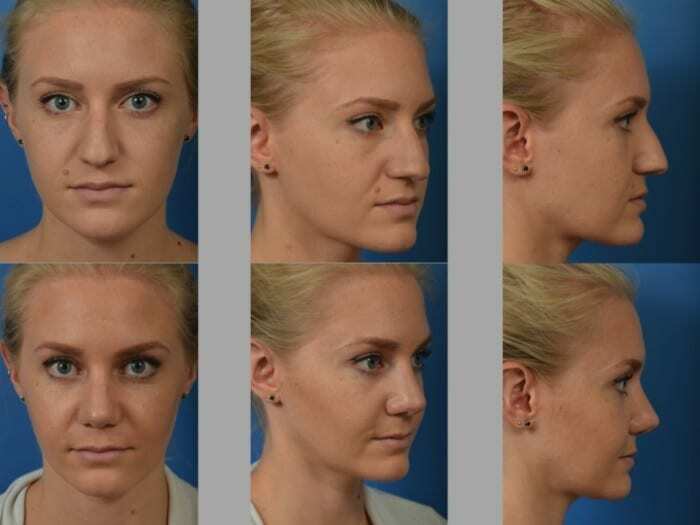 Many patients ask me whether I do open or closed rhinoplasty, and the answer is both. 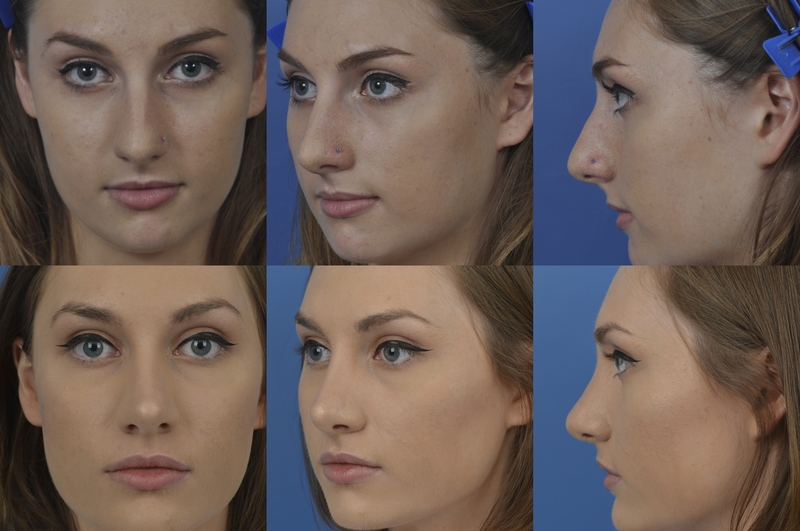 Open rhinoplasty, involves a small incision on the outside of your nose at the columella (area between your nostrils). 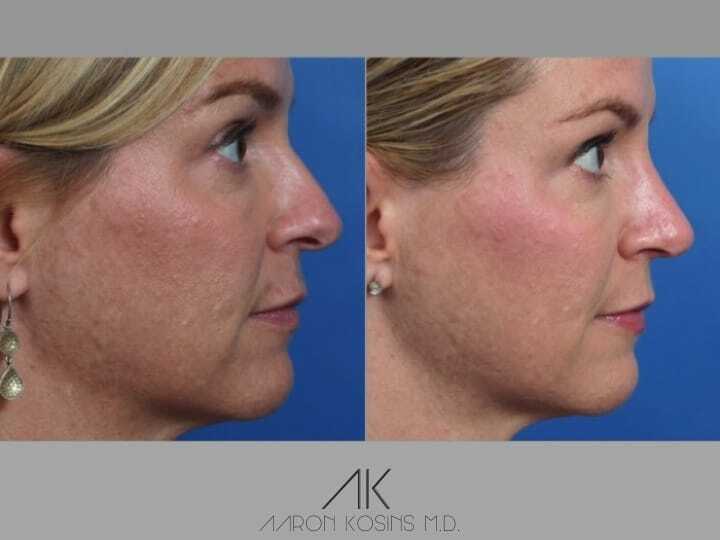 This incision is less than 5mm in length and the scar is virtually imperceptible in almost all patients. 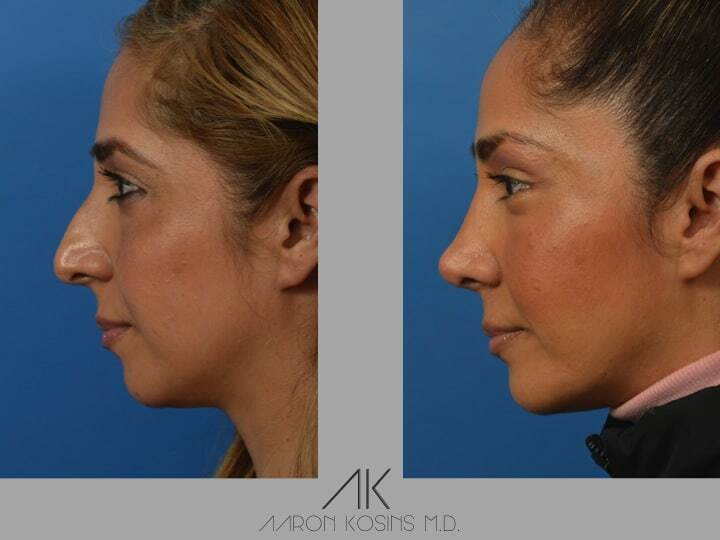 A closed rhinoplasty is done all on the inside of the nose with no external incision on the columella. 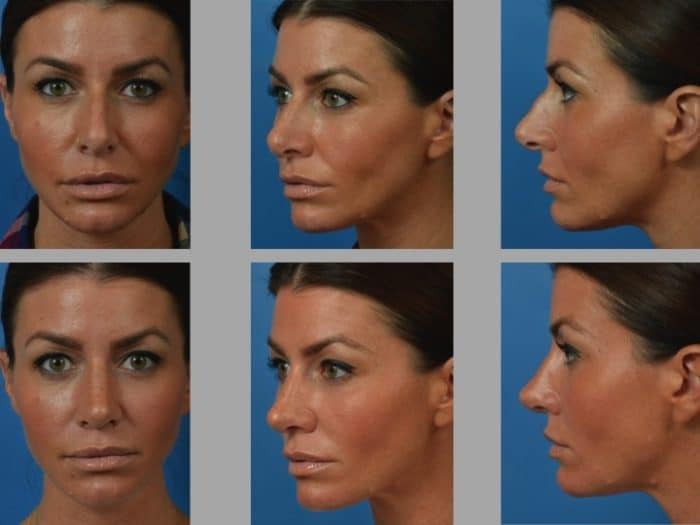 So why not do all rhinoplasties closed and avoid the incision? 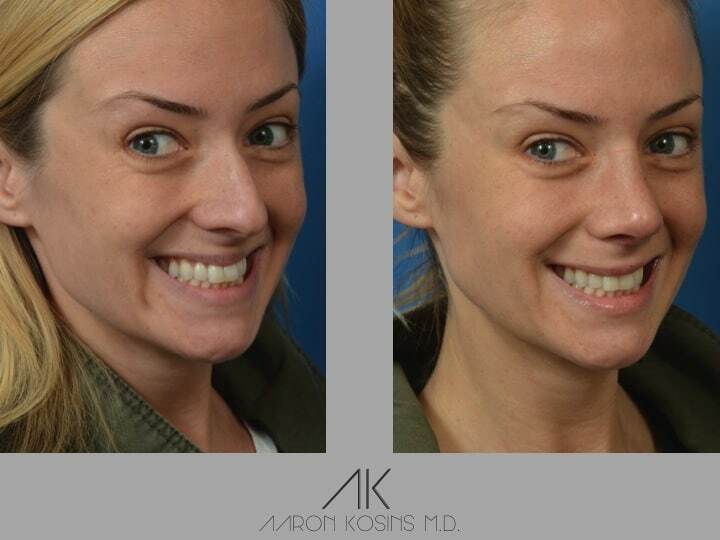 My approach always depends on the complaints of each patient and what needs to be done. 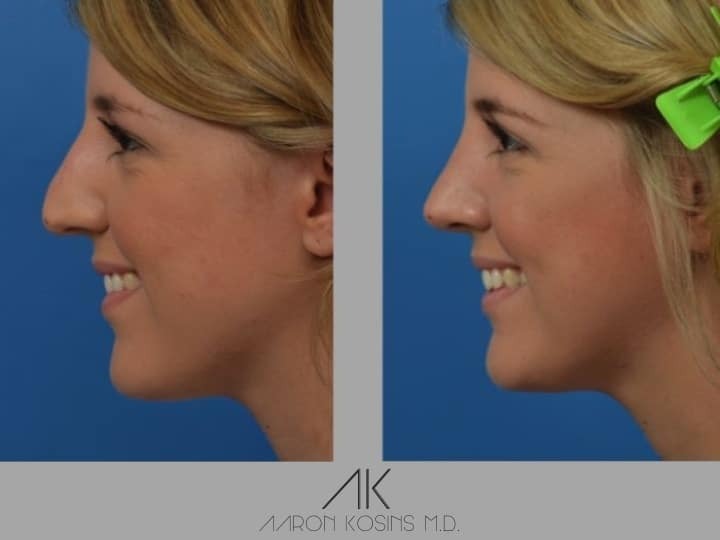 During your consultation, I will go over exactly why and how the rhinoplasty will be done. 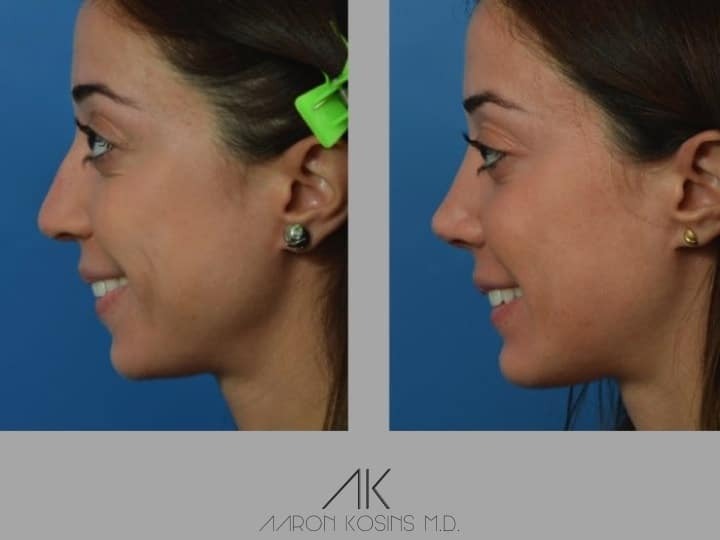 An open approach gives me much more control over certain parts of the operation; for example, the nasal tip. 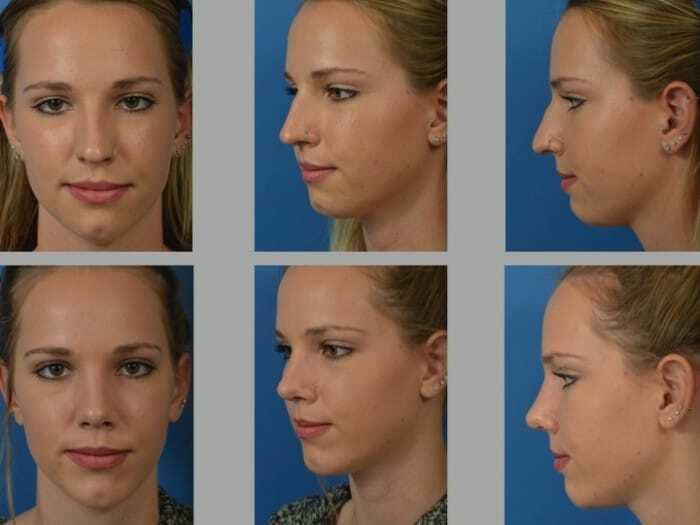 to gently refine certain aspects of their nose. 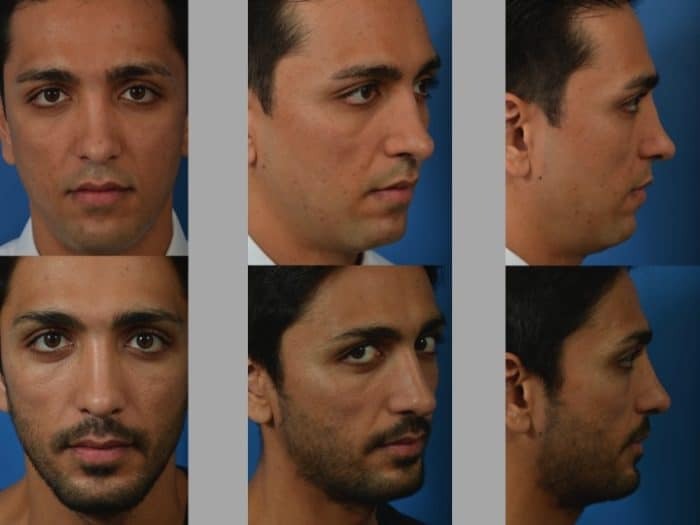 Breathing issues also seem to be a much larger issue with men. 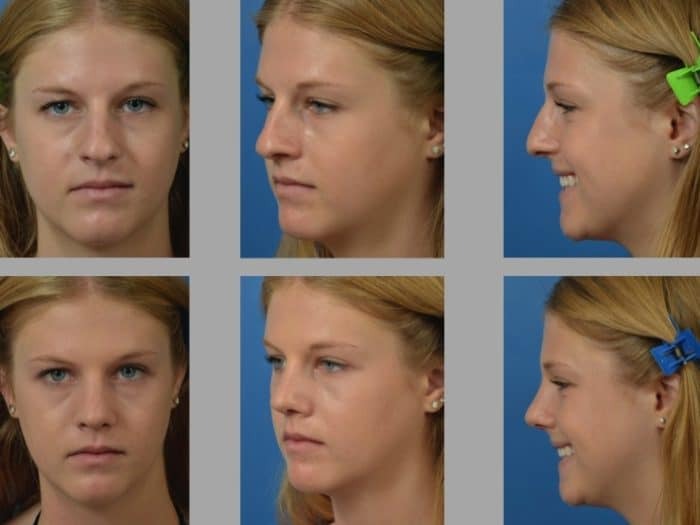 Let’s face it, because of our more aggressive nature we are much more likely to have hit our nose at some point during our life. 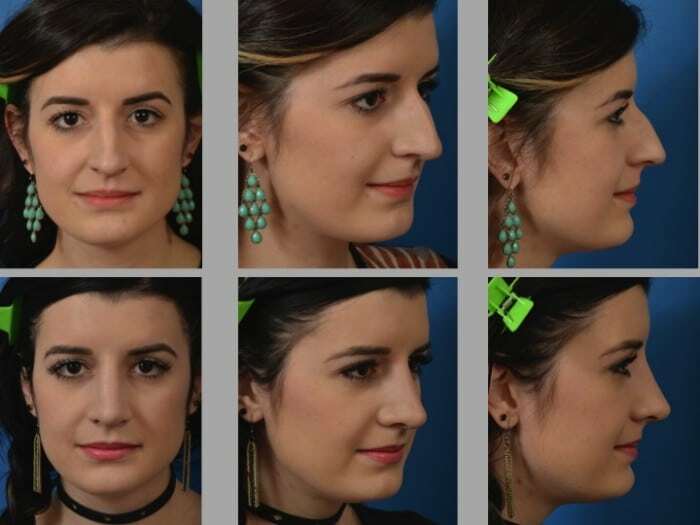 This is oftentimes during childhood and we don’t remember it. 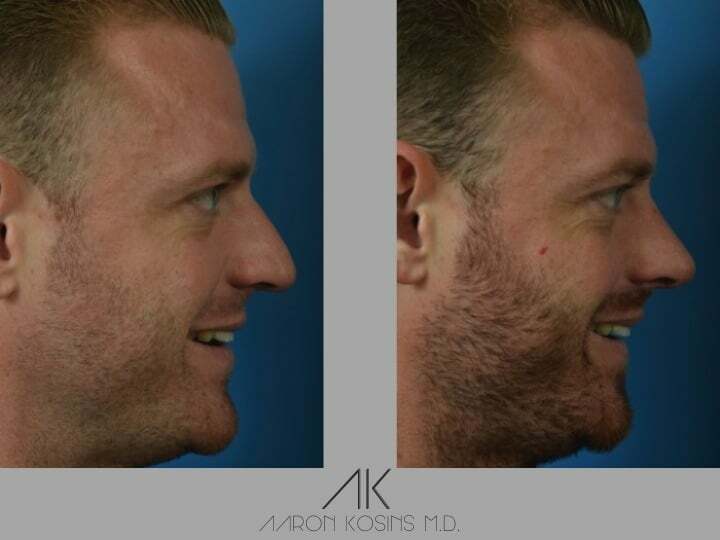 Even I broke my nose twice during my life – once playing baseball and once surfing! 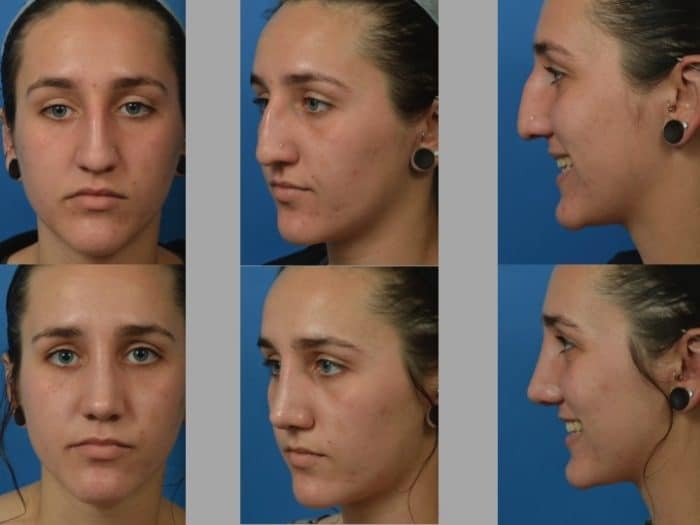 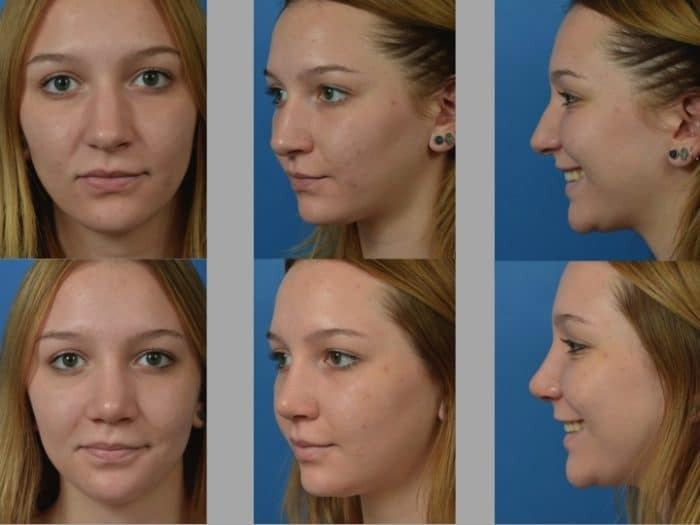 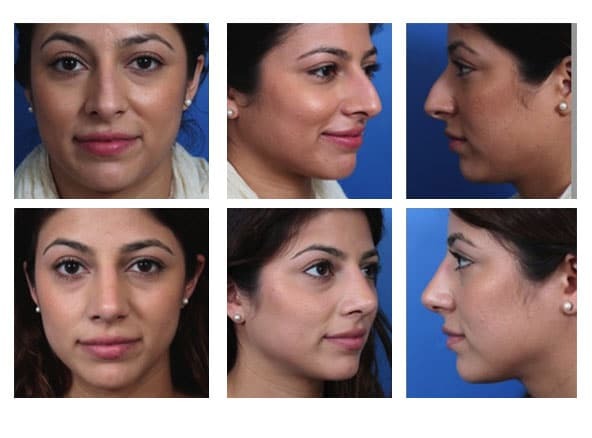 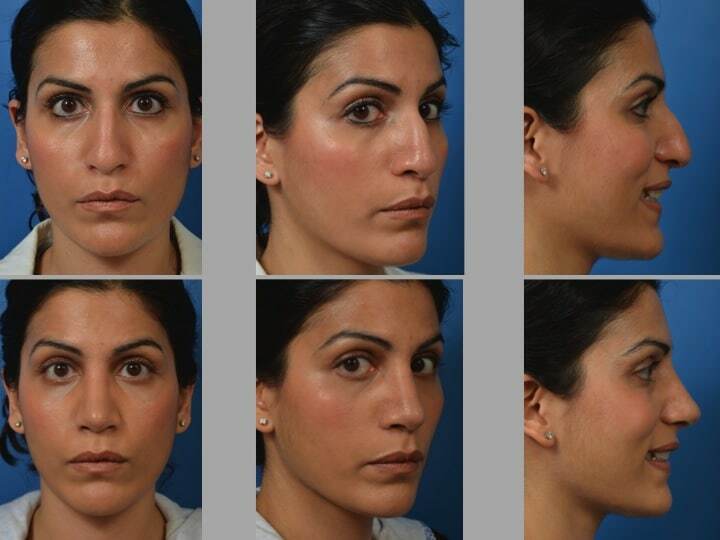 Similar to all my initial rhinoplasty consultations, we will discuss your goals and objectives. 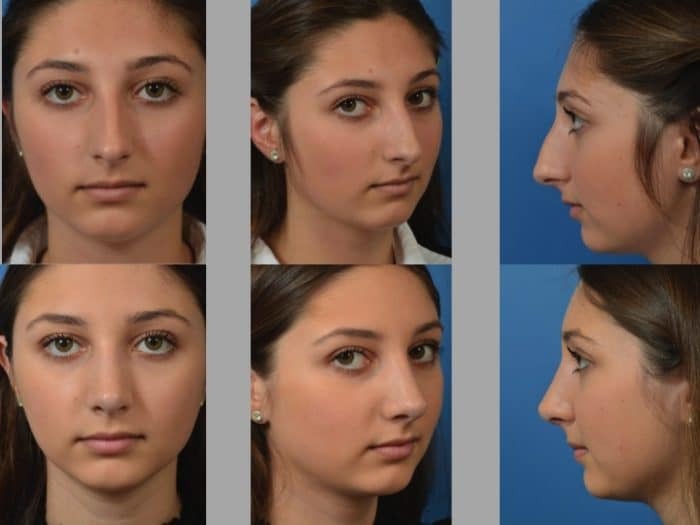 I always ask what are the 3 things about your nose that you do not like. 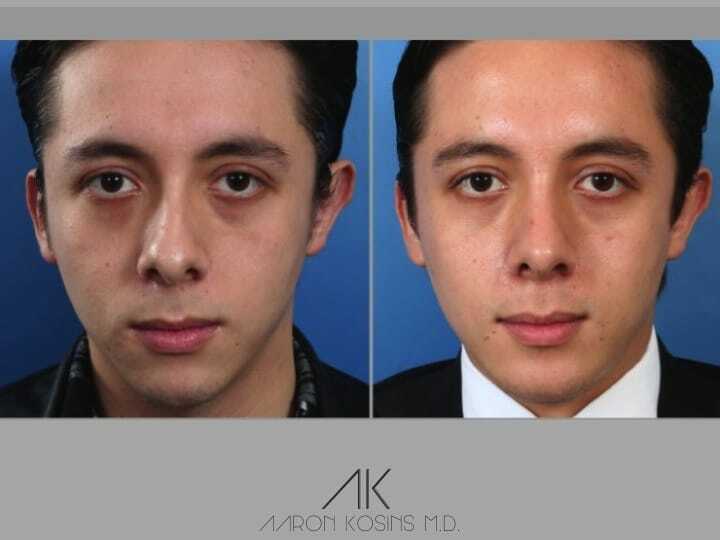 We will take 8 to 10 standard photographs, and discuss what can be realistically changed, and what the result will look like. 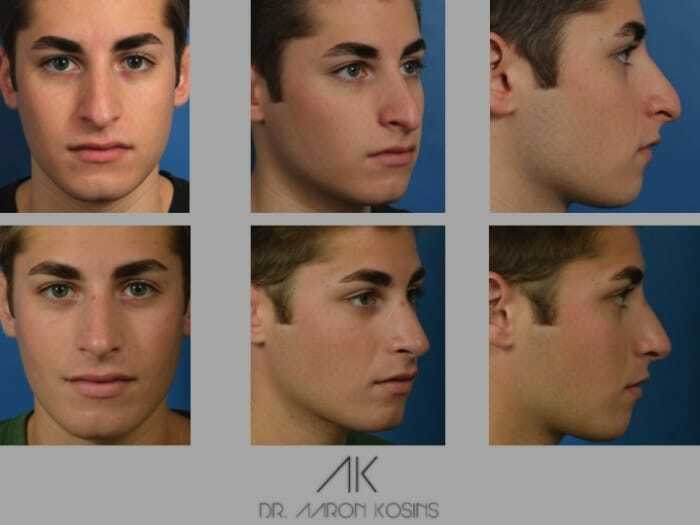 My physical examination includes both a external as well as an internal examination. 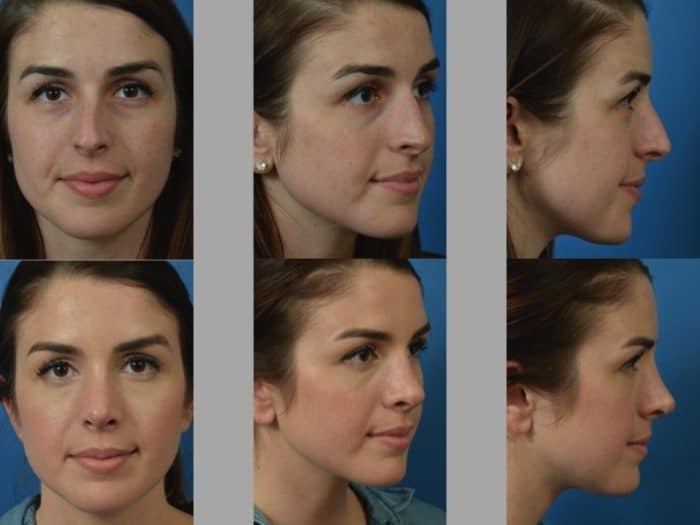 It is very important that I look at your nasal septum, your turbinates (think of them as the humidifiers of the nose but also an important structure when it comes to airflow), and your valves. 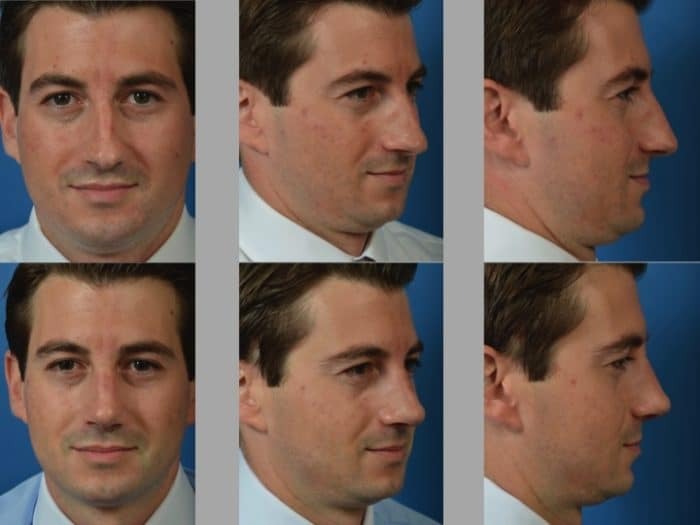 I will watch you breathe normally as well as on forced inspiration. 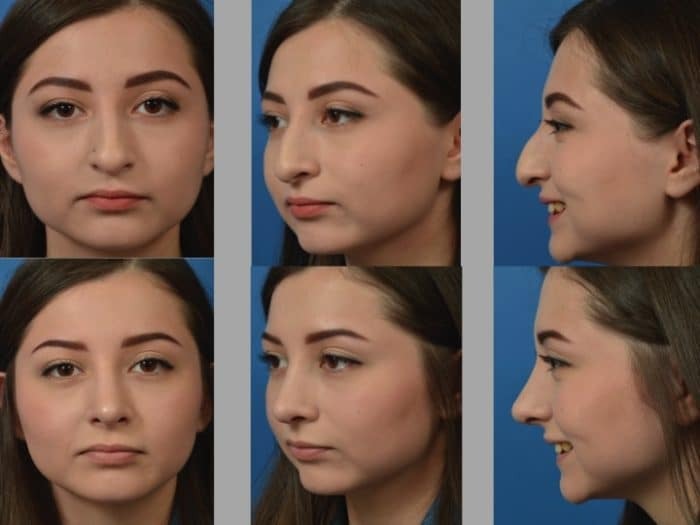 I need to get an accurate picture in my head of what your nose is likely to look like under your skin and what may contributing to your aesthetic and functional issues. 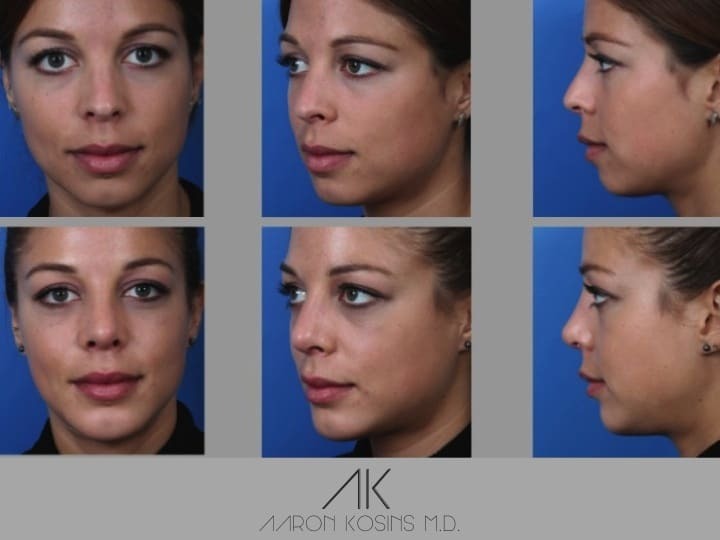 Once the goals are clearly defined, I will design an operative plan from A to Z that we will go over during your final pre-operative visit. 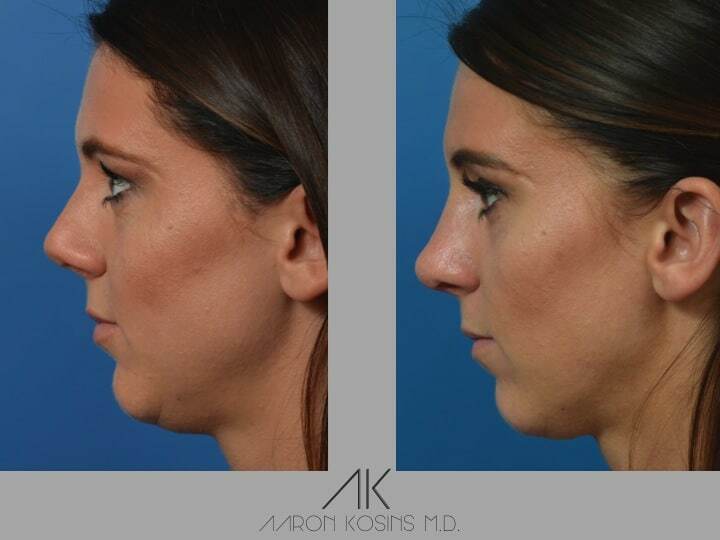 In all of my rhinoplasty operations, the complete plan is defined and structured up front. 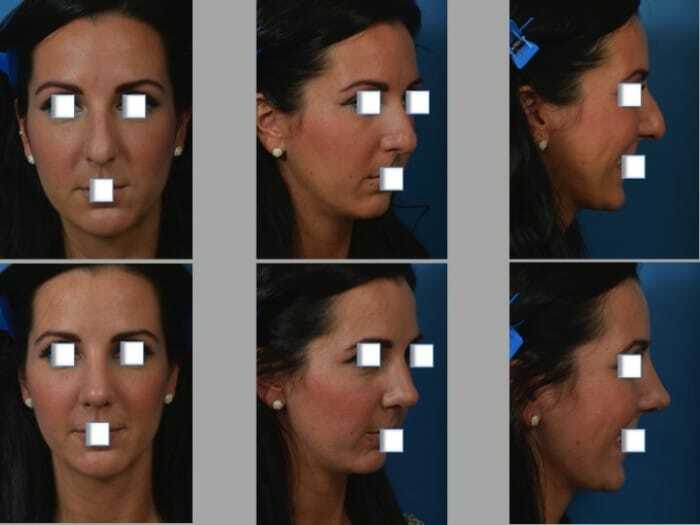 With this, the results are much more predictable and this equates to less time in the operating room for the patient. 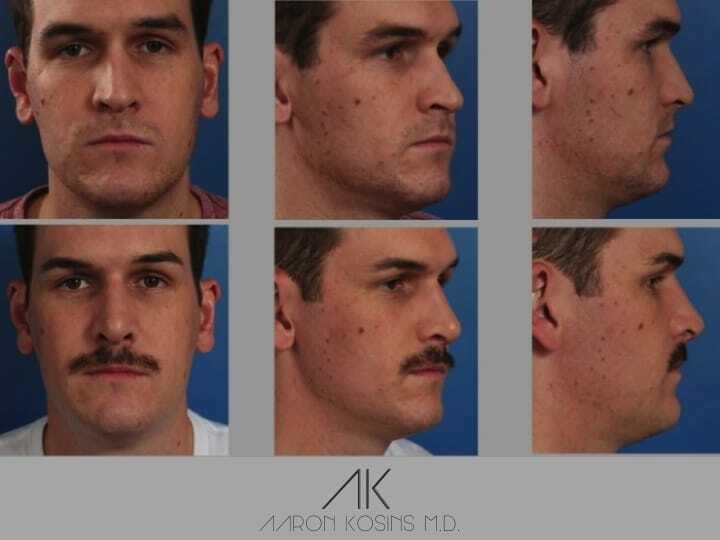 A large portion of my rhinoplasty training and initial experience was at the Long Beach Veteran’s Hospital. 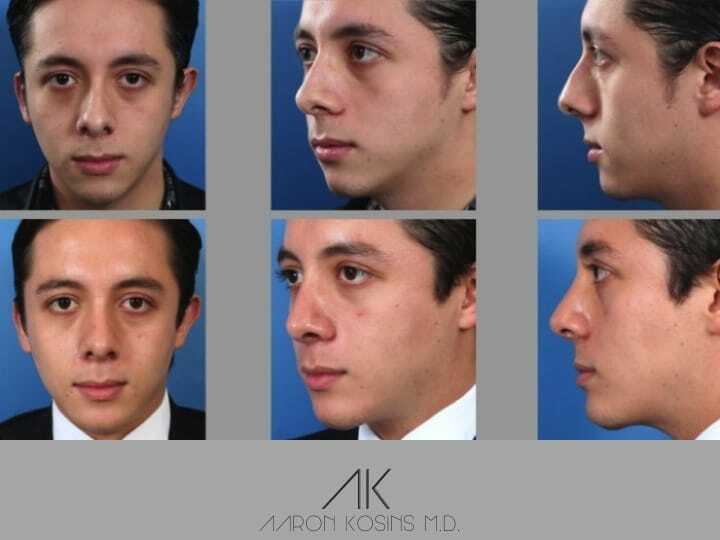 There I took care of a large number of male patients requesting and needing rhinoplasty for a large variety of indications. 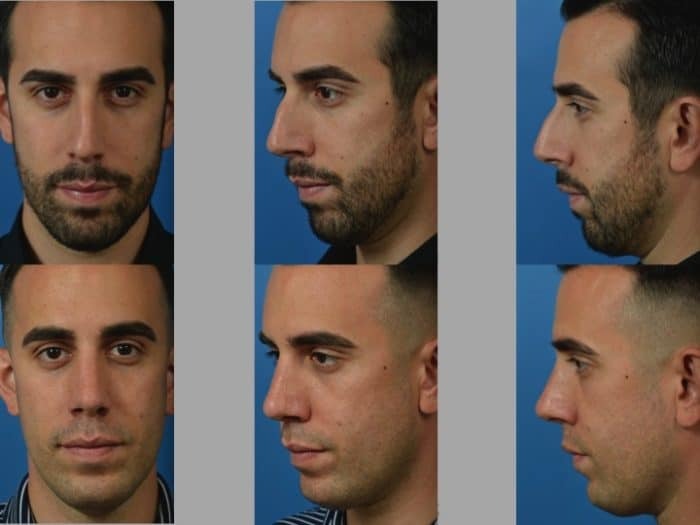 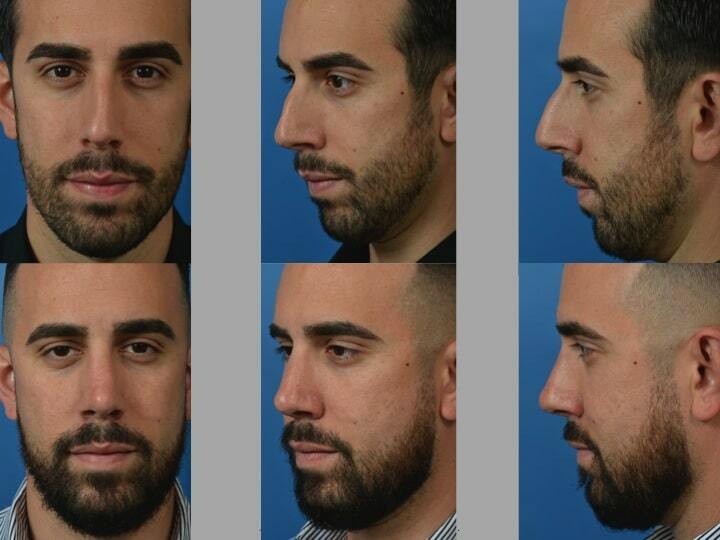 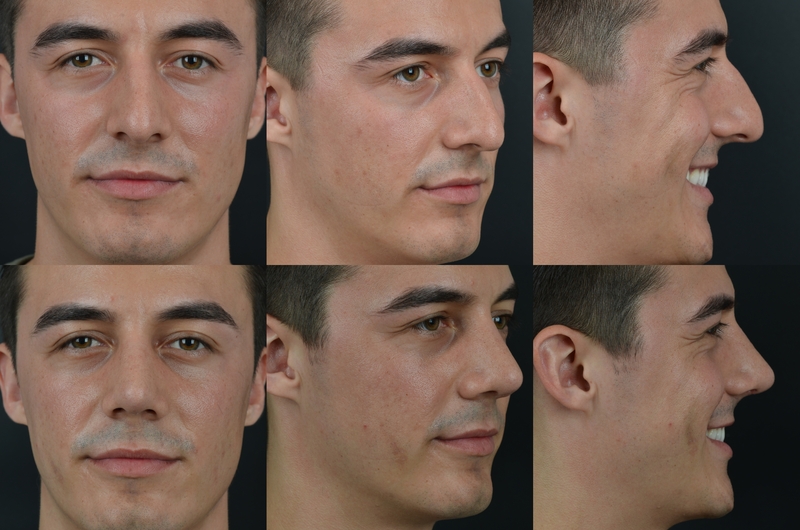 As a man, you need to make sure that your surgeon is comfortable with and has experience with rhinoplasty in males. 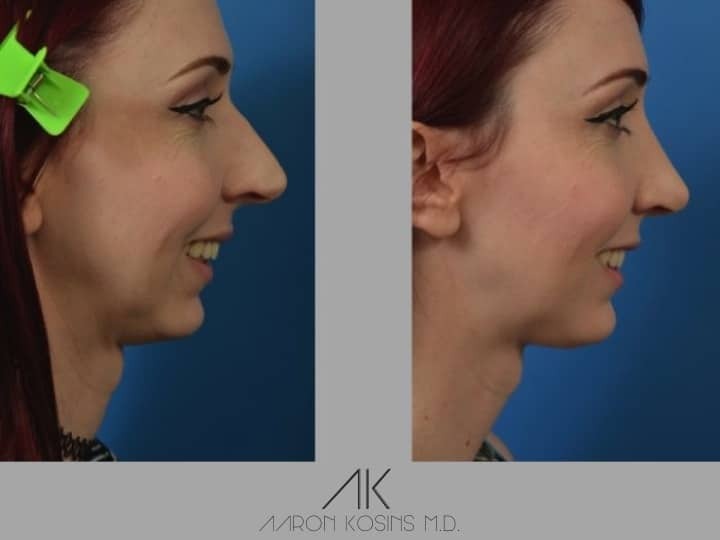 Compared to women, the issues are different, the surgical techniques are different, and the goals are different. 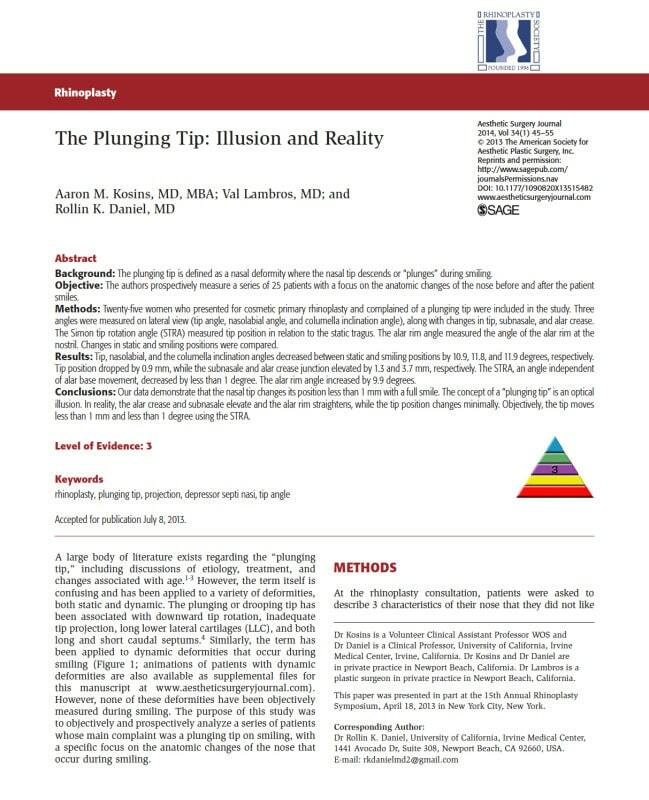 much as possible, and to sleep on 3 pillows for elevation at night. 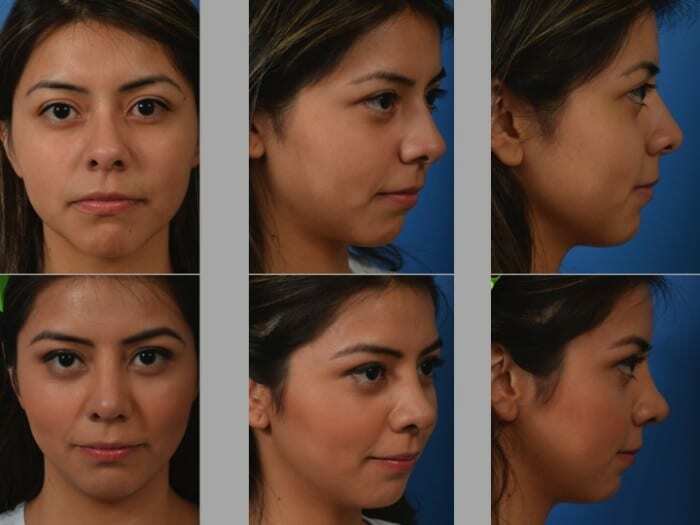 The swelling can be uncomfortable for the first 2-3 days, after which it will decrease. 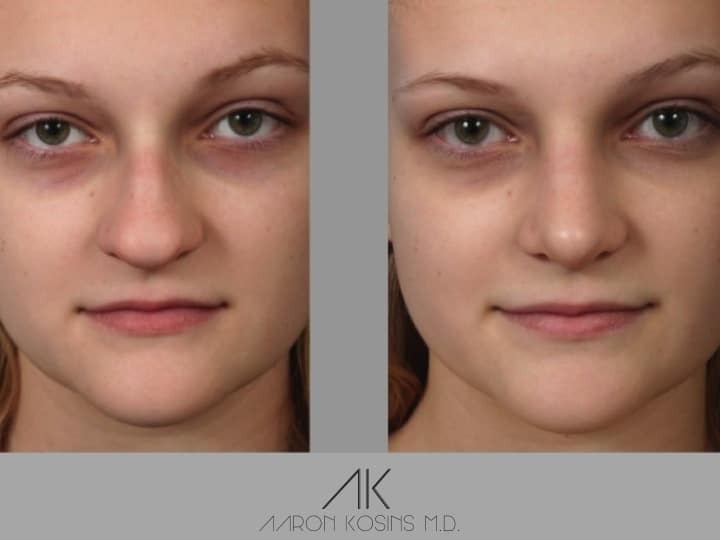 Bruising is often minimal, but can extend laterally to the eyelids. 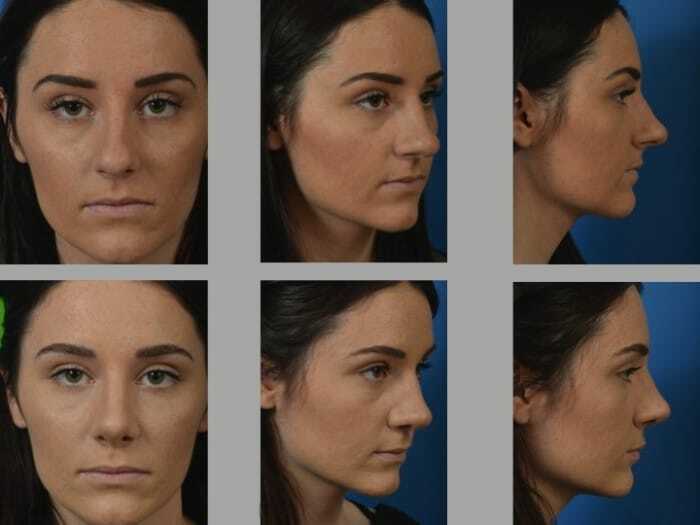 A cast will be placed on your nose for 5-7 days after the operation and you will have splints on the inside of your nose for the same amount of time. 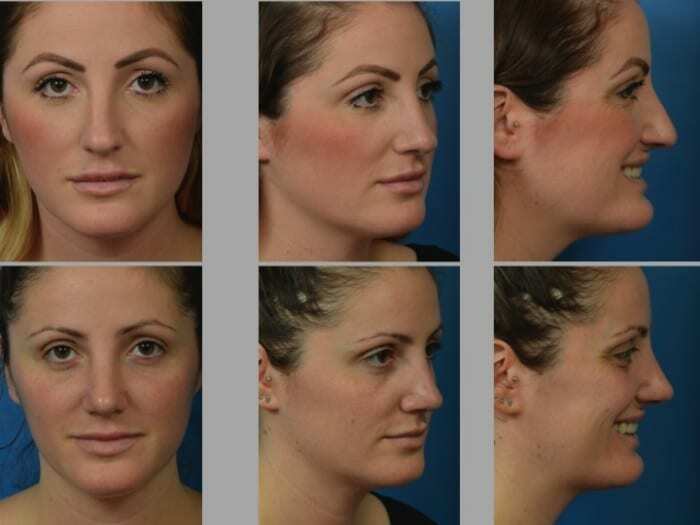 During your first post-operative visit, all dressings, casts and sutures will be removed. 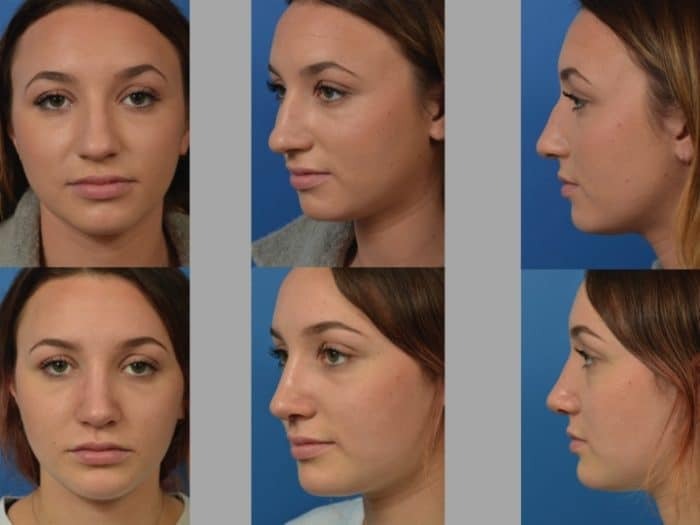 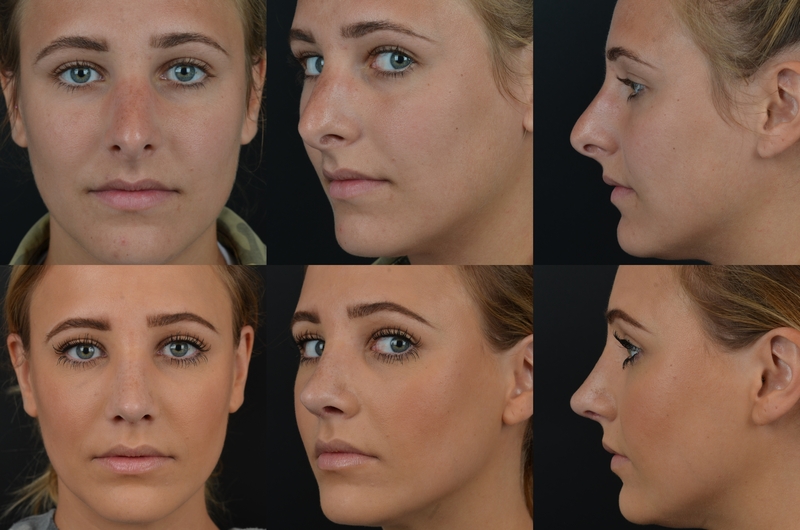 Although your nose will still be swollen, you will immediately recognize the changes made during your rhinoplasty. 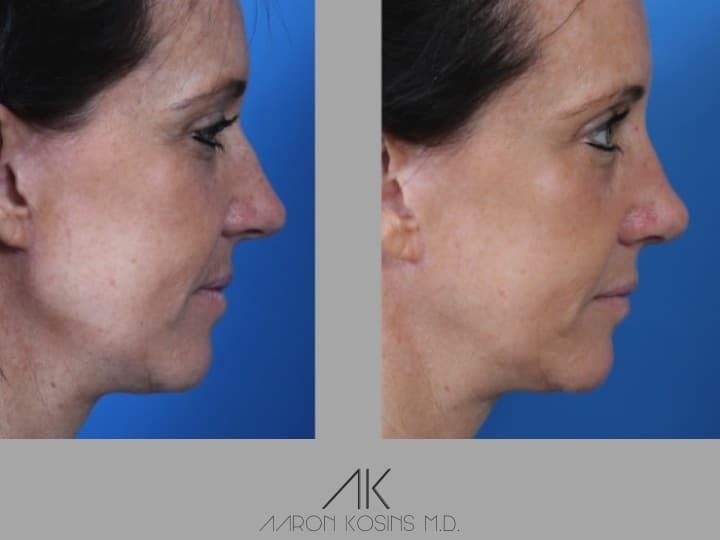 Over the next few weeks, I will teach you how to tape your nose at night to minimize swelling and maximize the healing process. 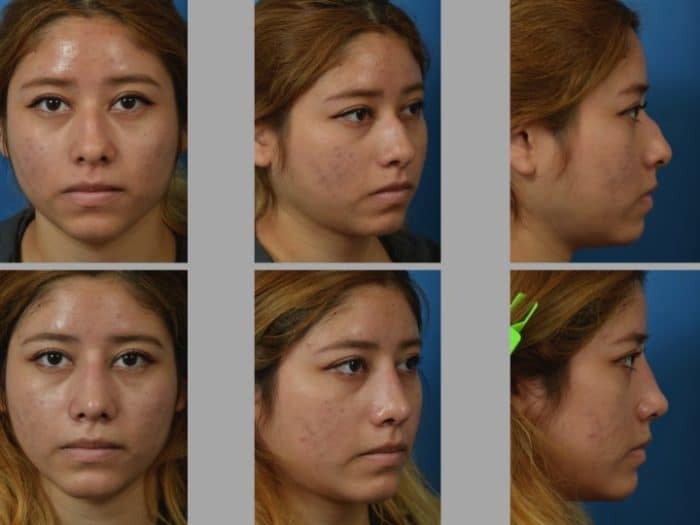 After the first 3 weeks, the majority of your swelling will be gone. 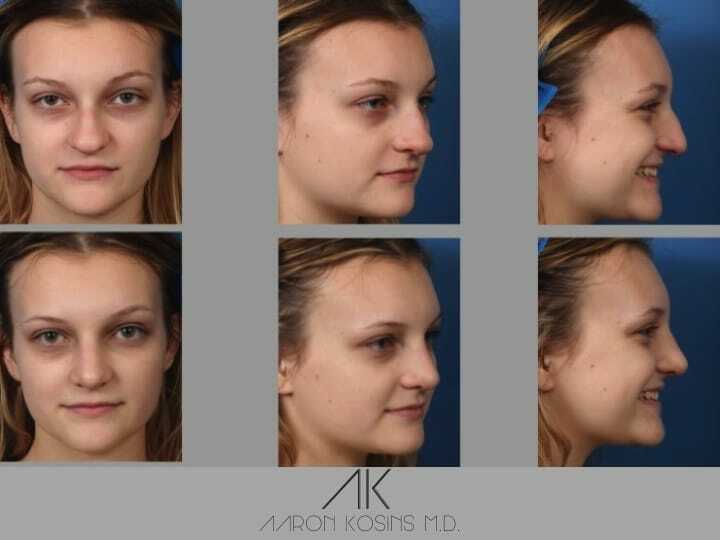 However, you must understand that swelling will remain in minimal amounts for months after. 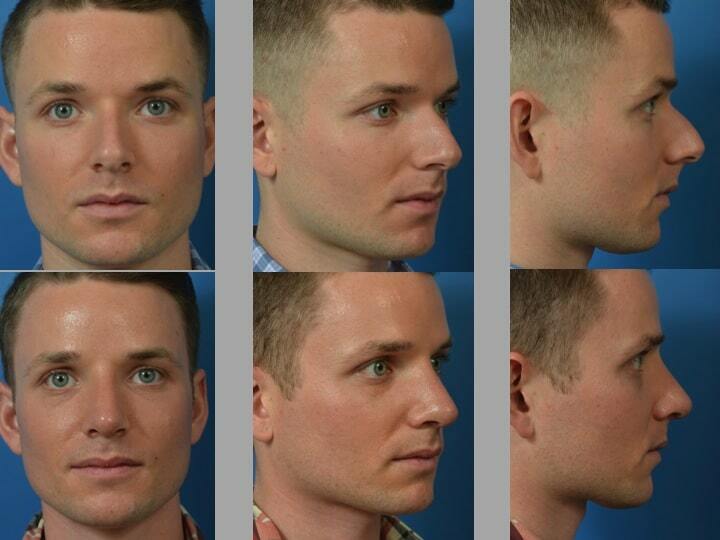 Anybody who performs this operation and tells you differently is not being honest. 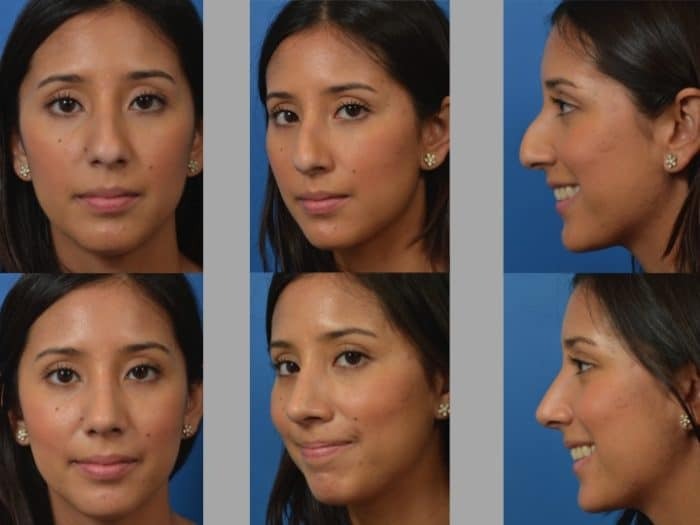 The nose is a very sensitive organ with a thin skin sleeve (notice it gets cold when the rest of your face does not). 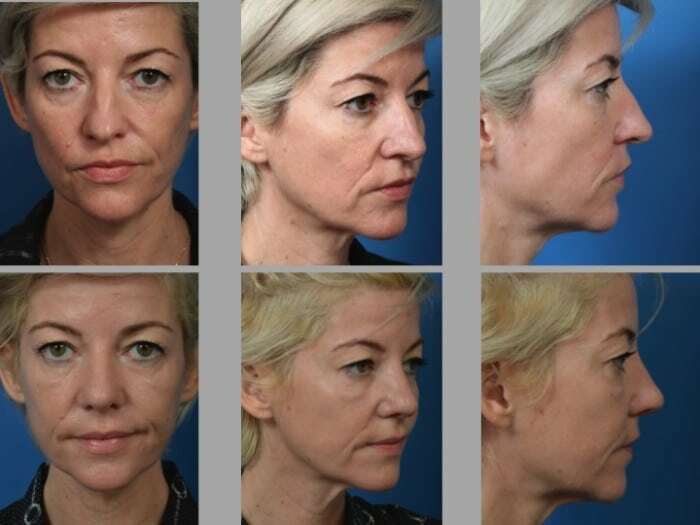 Healing takes up to a year even though the subtle changes are often only apparent to me after the first 3 weeks. 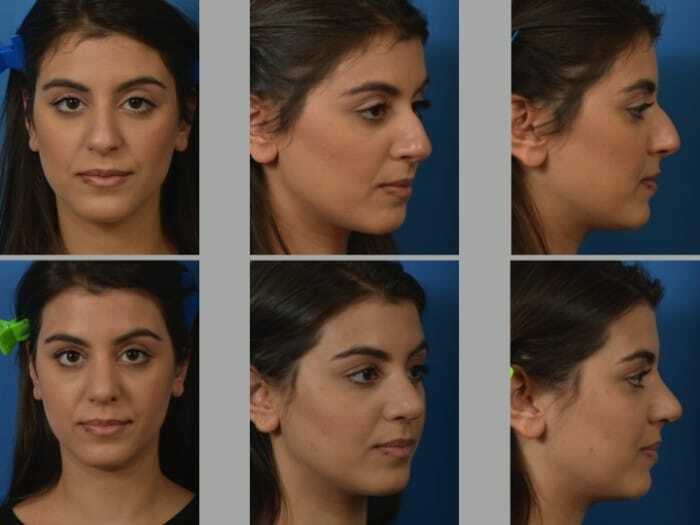 During these first 3 weeks, I ask my patients to avoid nose blowing, spicy food, and salty food. 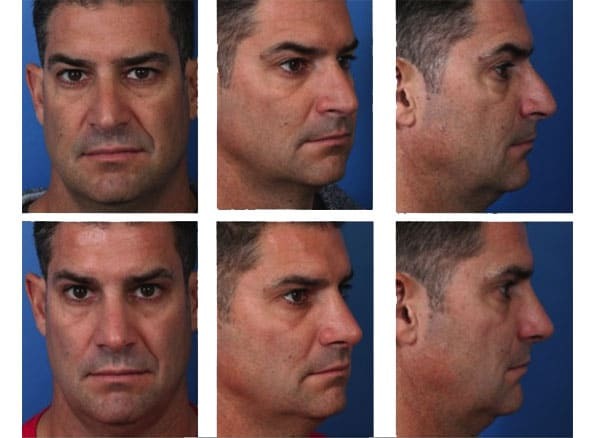 After 1 week, saline nasal spray is OK. 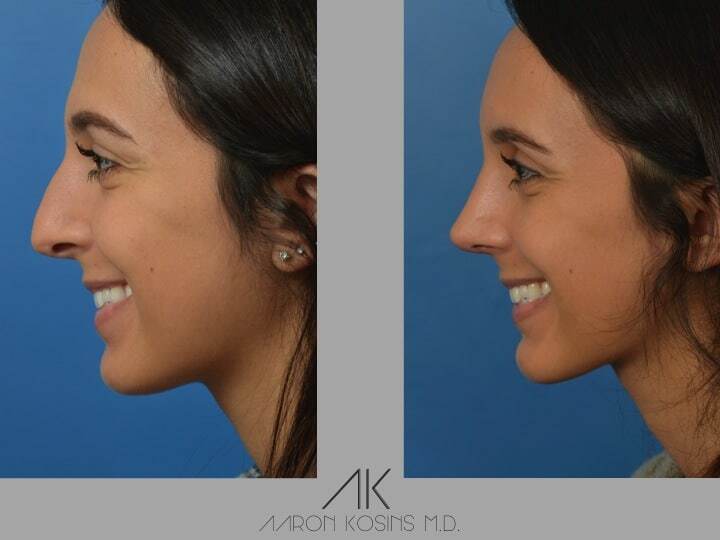 Your breathing is normally significantly better right when the splints come out, but it willcontinue to improve over 6 months as the inside of your nose heals. 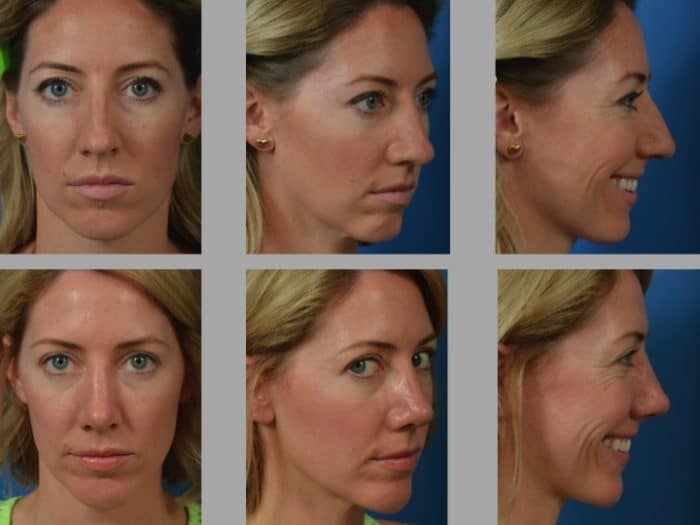 Patients with previous breathing issues often report better breathing, exercise tolerance, sleep, and energy during the day. 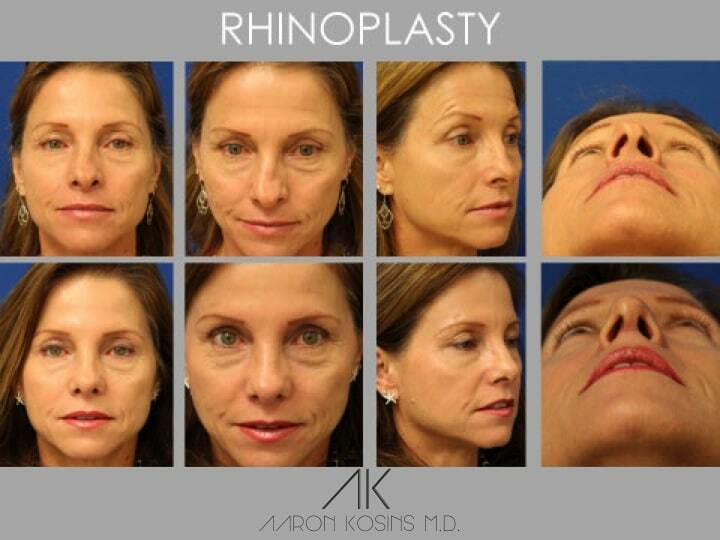 Dr. Kosins is a member of The Rhinoplasty Society and editor of the rhinoplasty section of the Aesthetic Surgery Journal.